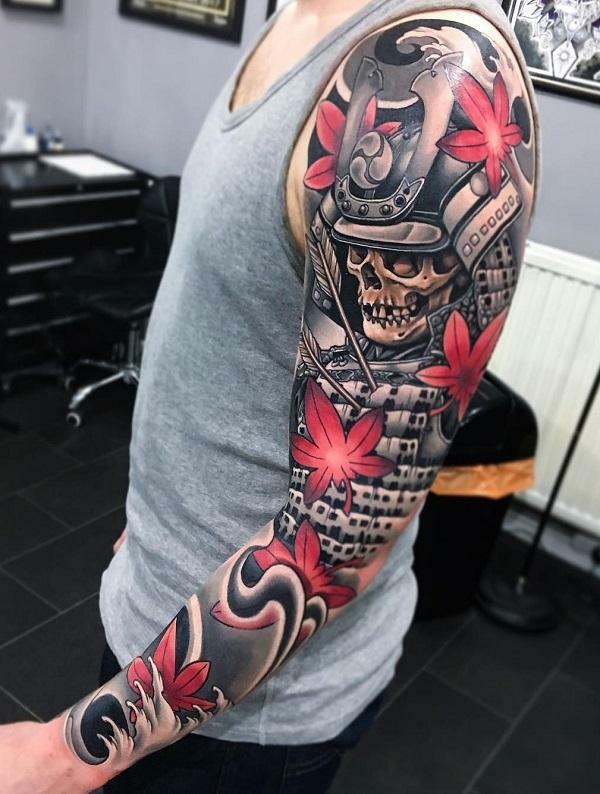 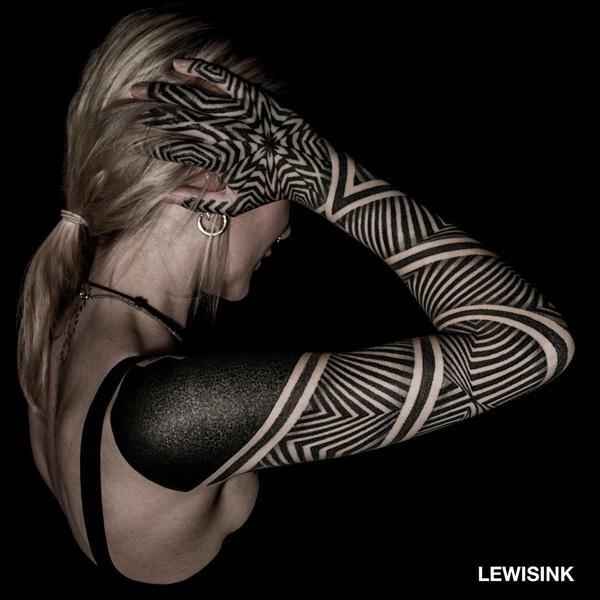 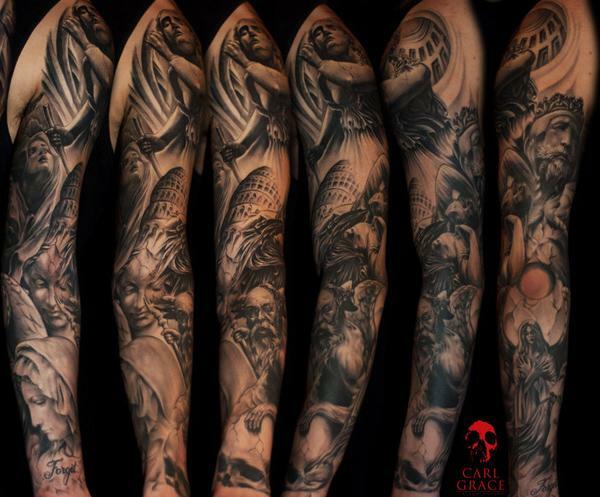 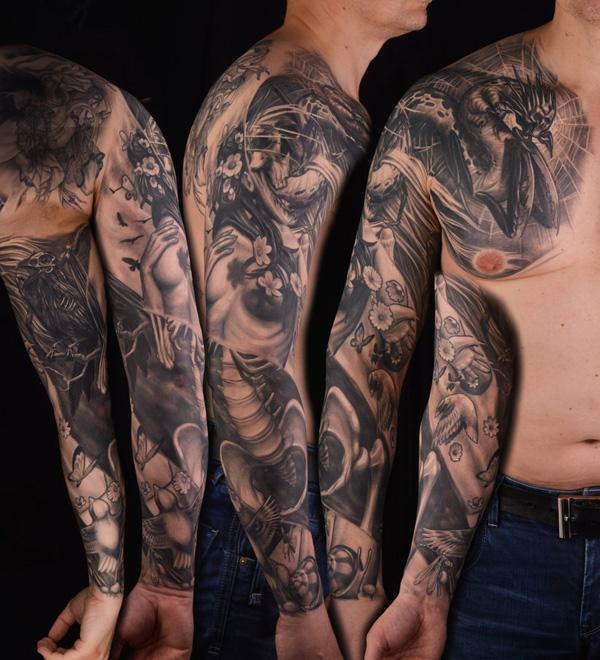 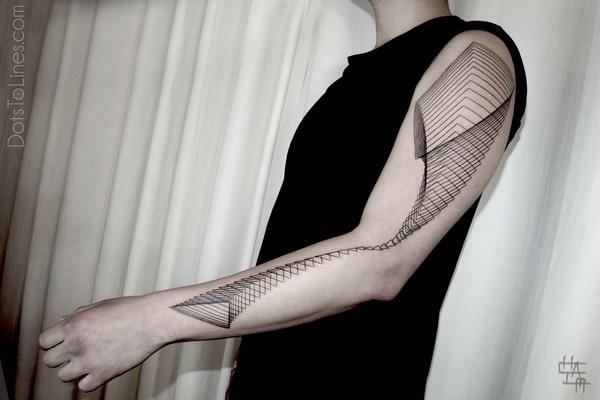 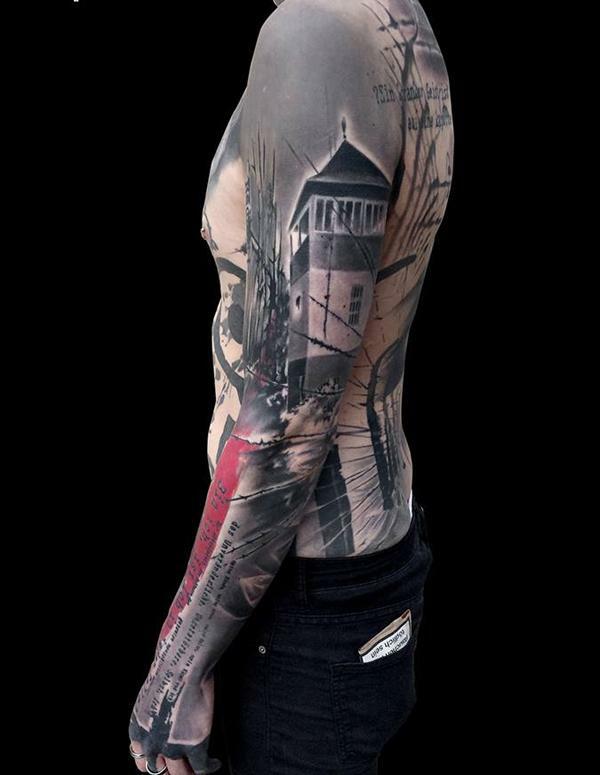 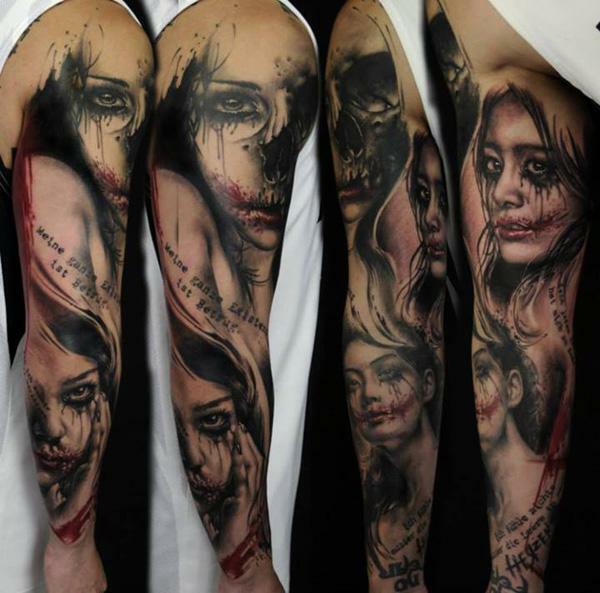 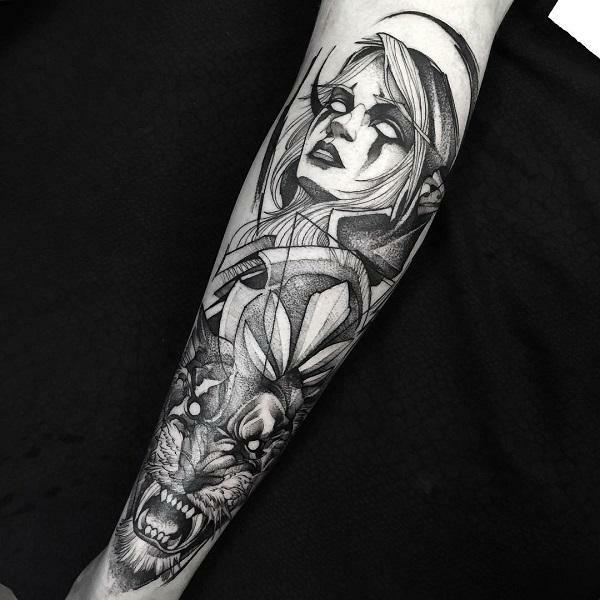 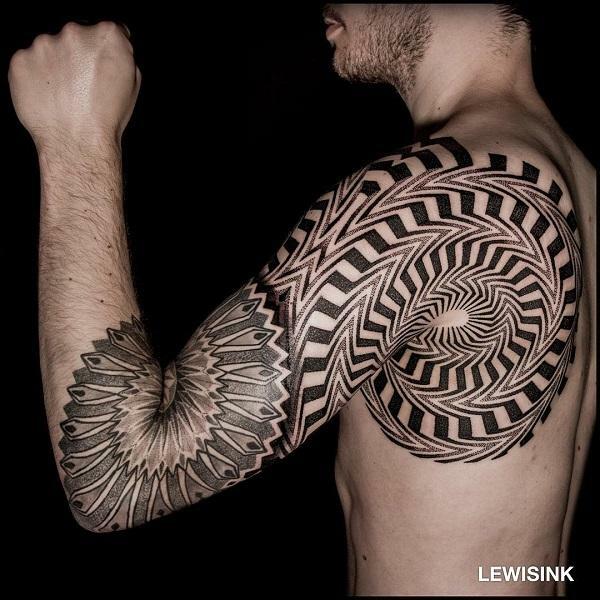 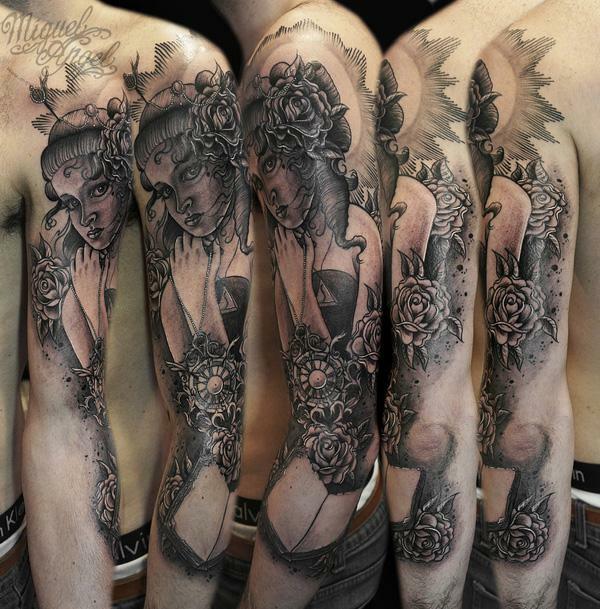 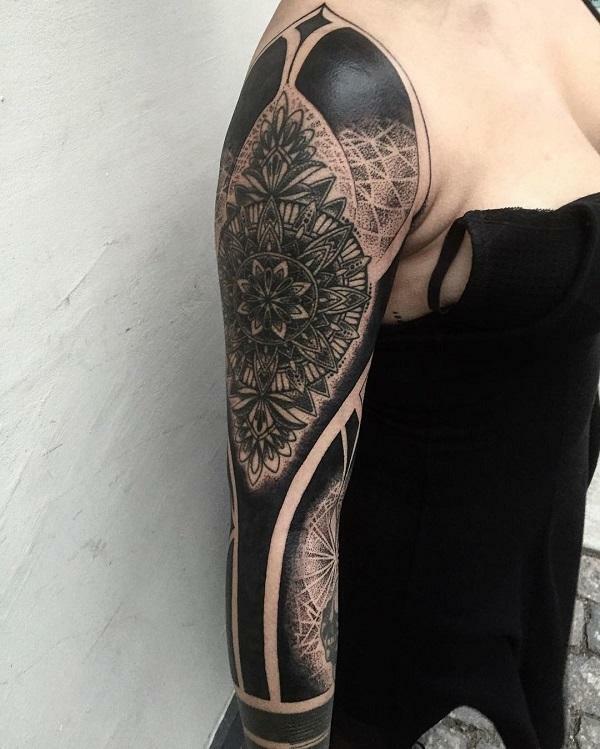 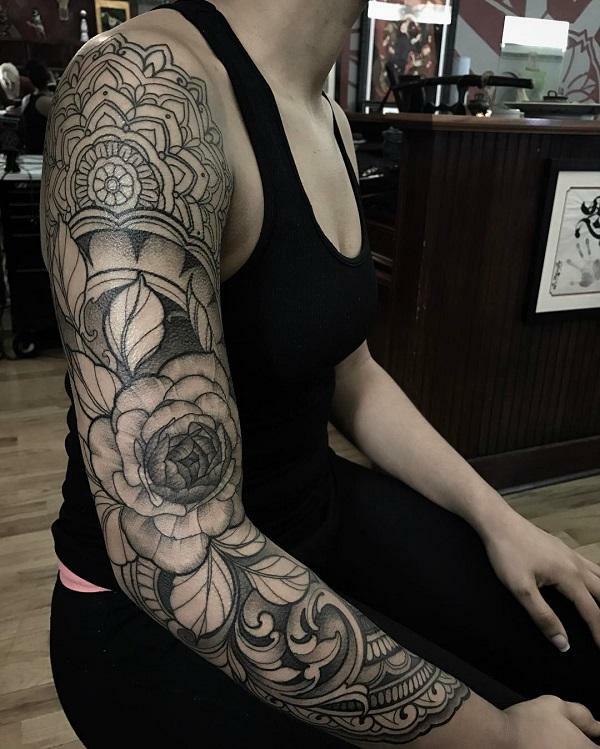 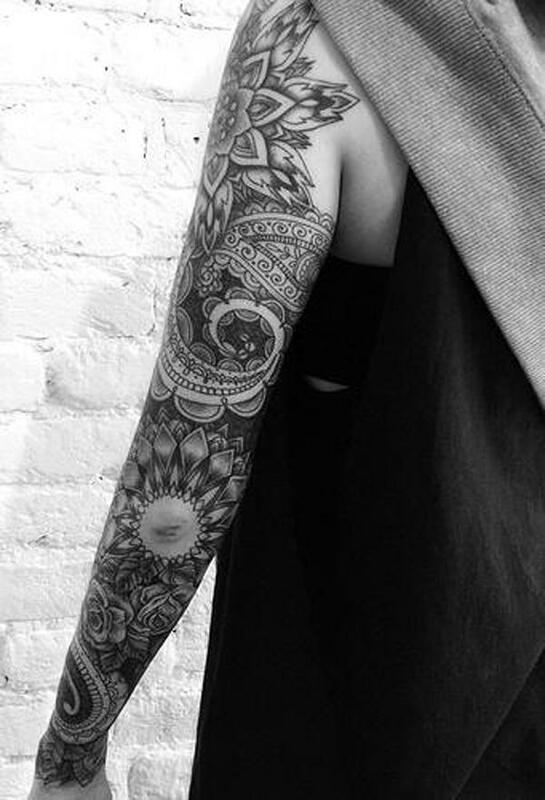 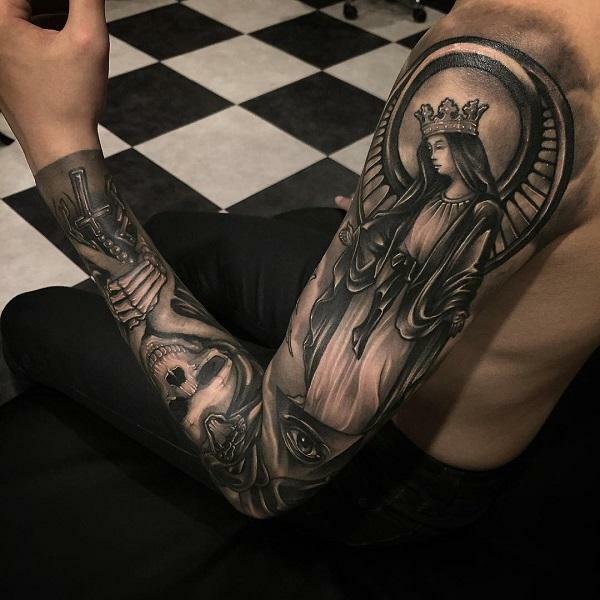 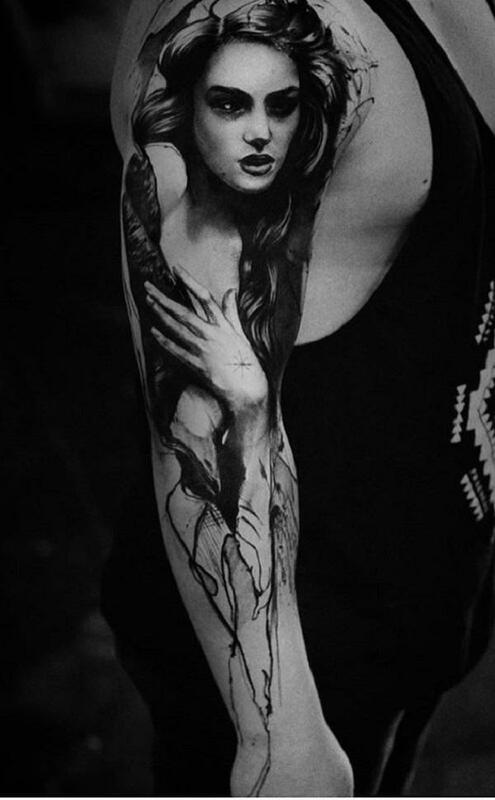 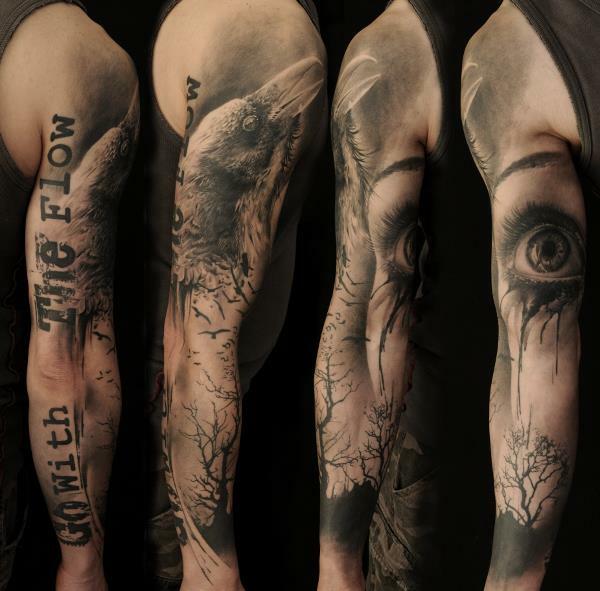 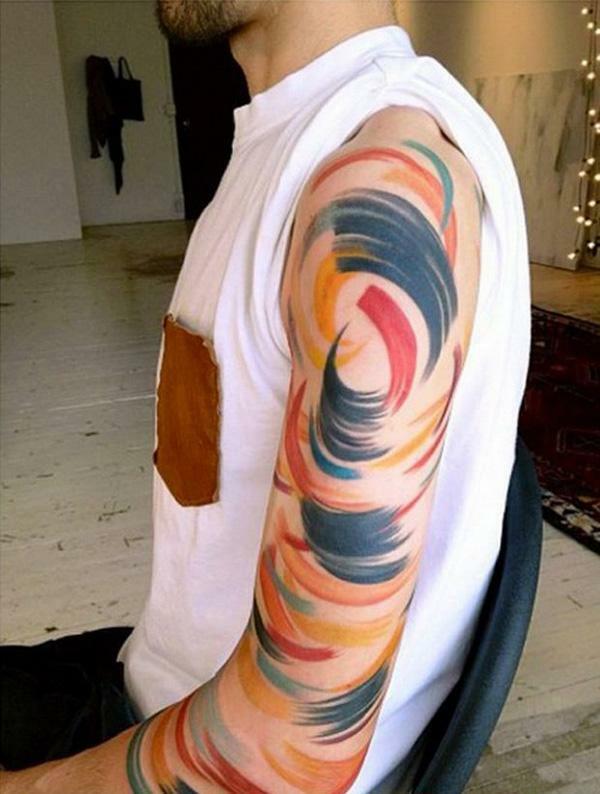 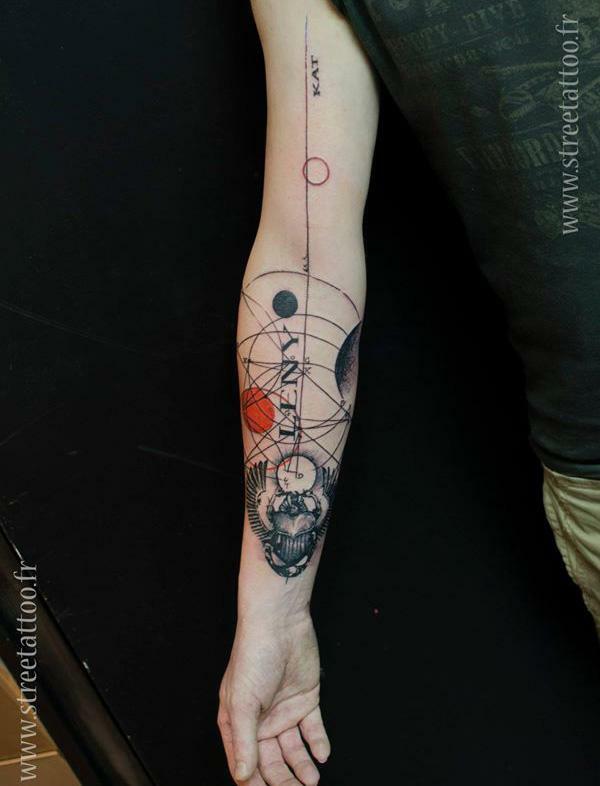 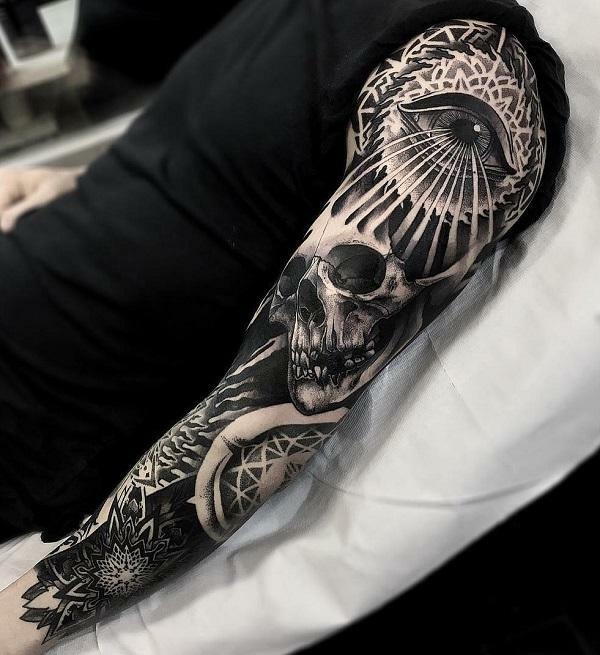 A full sleeve tattoo is usually intricate from the shoulder to the wrist of the arm, which is an attractive canvas for artists and inevitably a choice for tattoo addict. 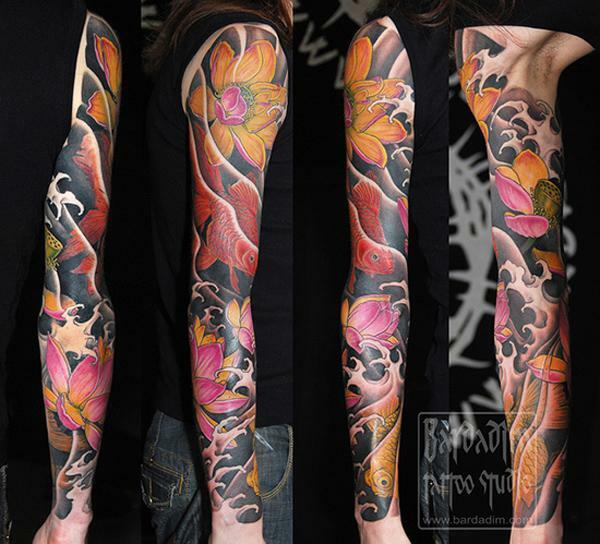 But there’s something you need to know before having the full sleeve tattoo despite of the lure. 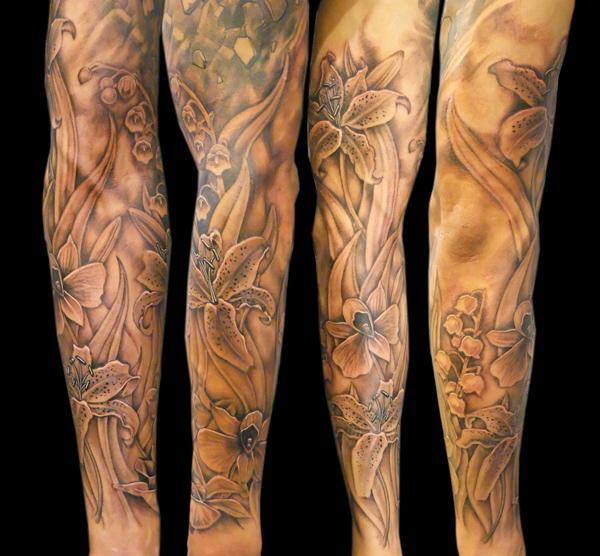 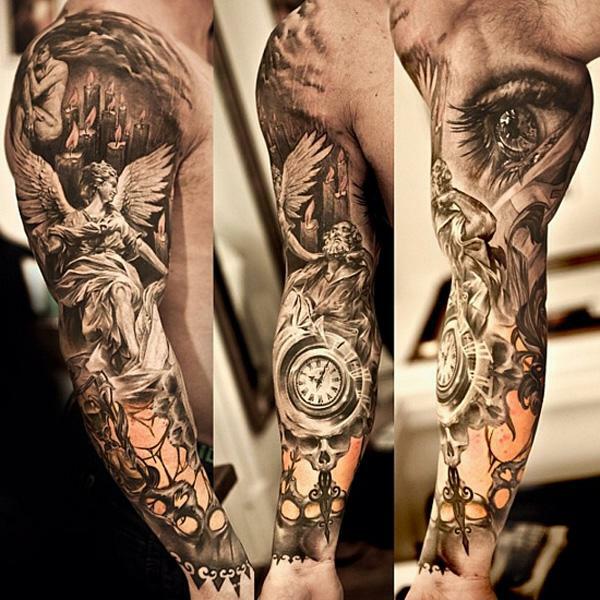 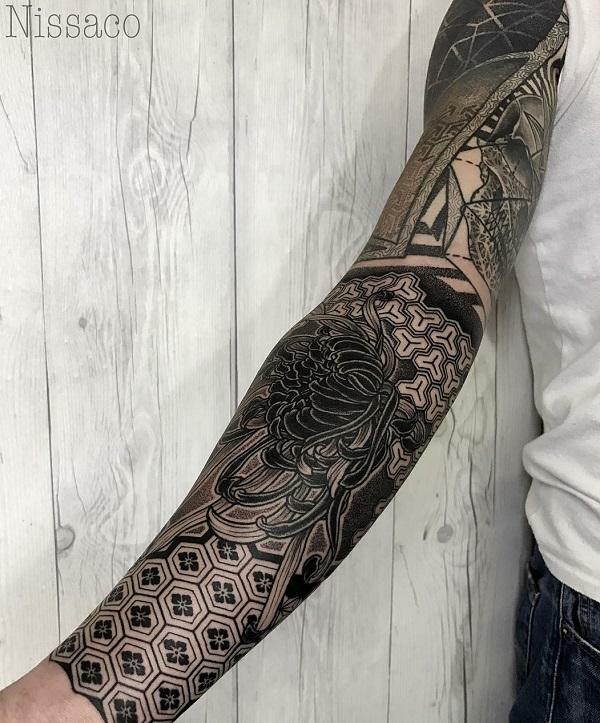 Depending on the complexity of the design, it normally takes longer time and energy to get a full sleeve tattoo finished, whether you would like to fill in a full sleeve for cover up, or to create a new design. 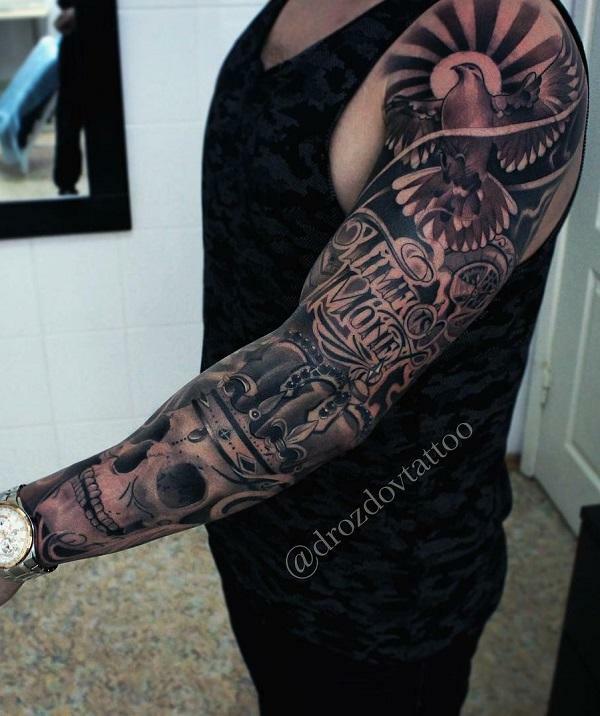 A tattoo is very hard to remove, especially a big one like a full sleeve tattoo. 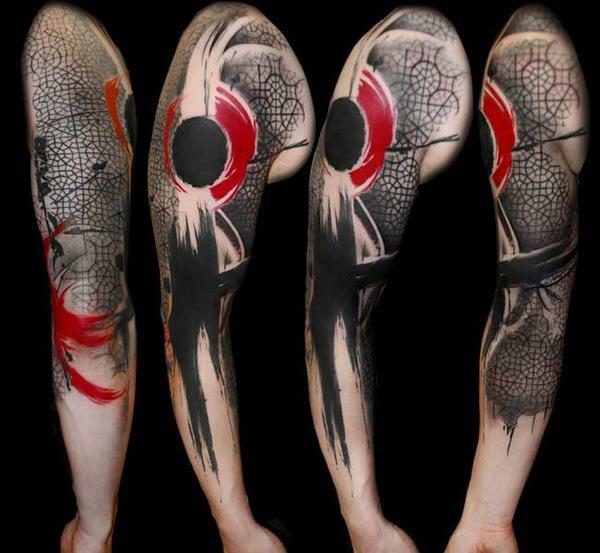 Bad one or poorly executed may be offensive, so it’s important to have a study on both the studio and the design. 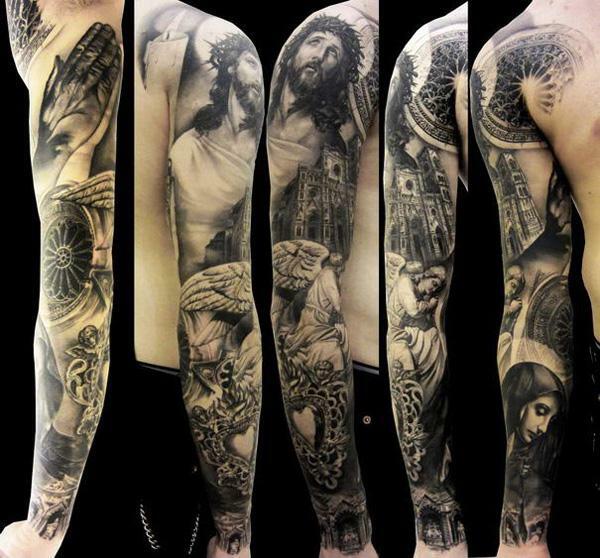 Fortunately, there are a lot of great ones we can take reference. 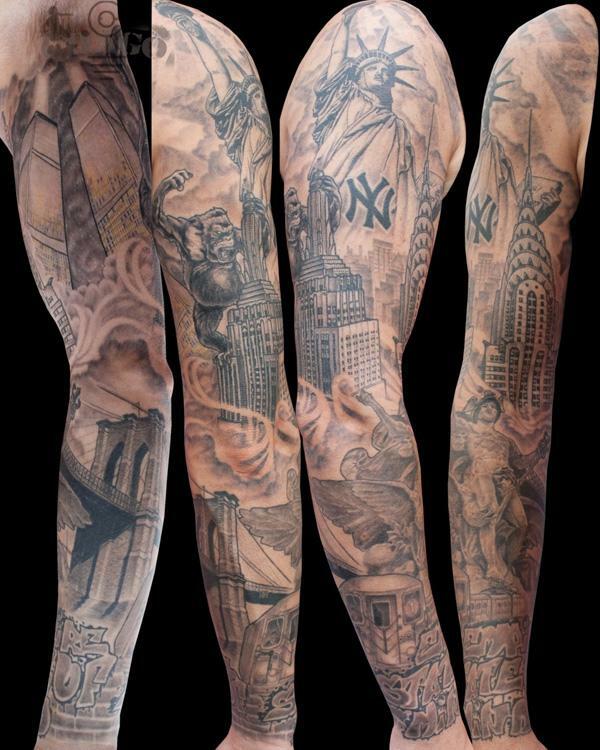 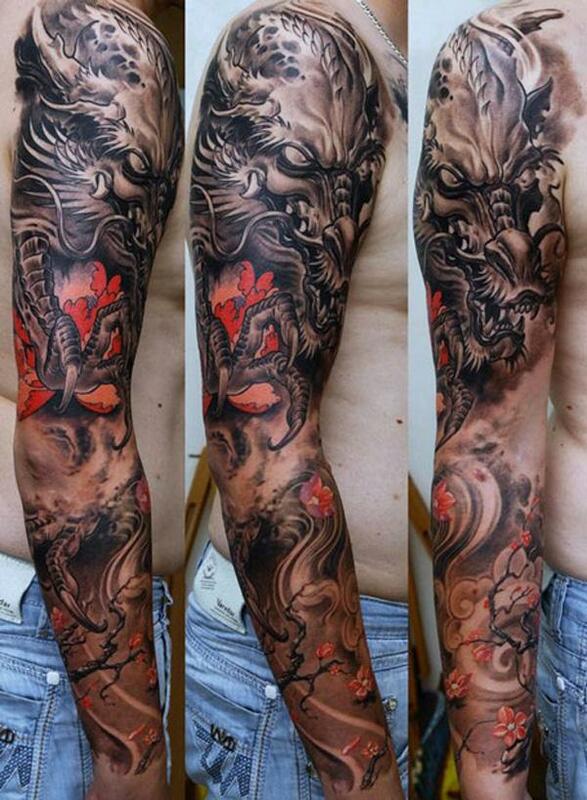 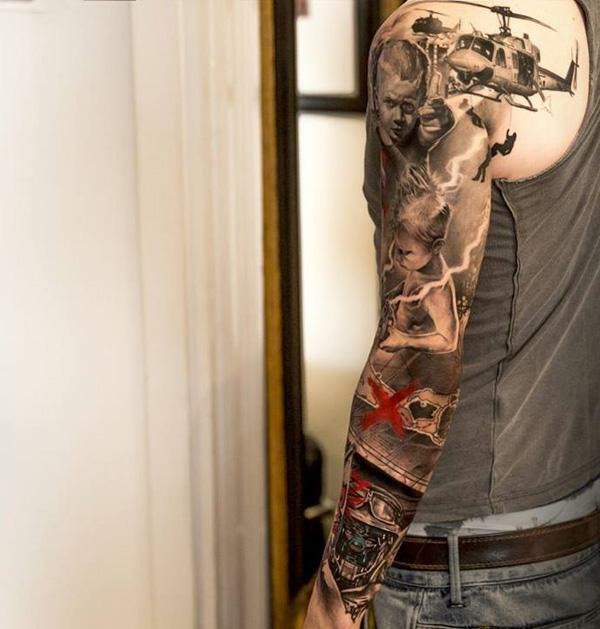 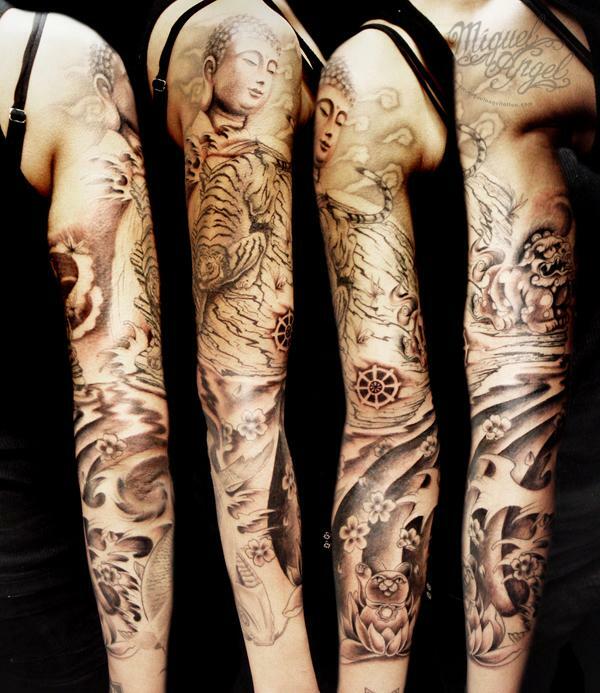 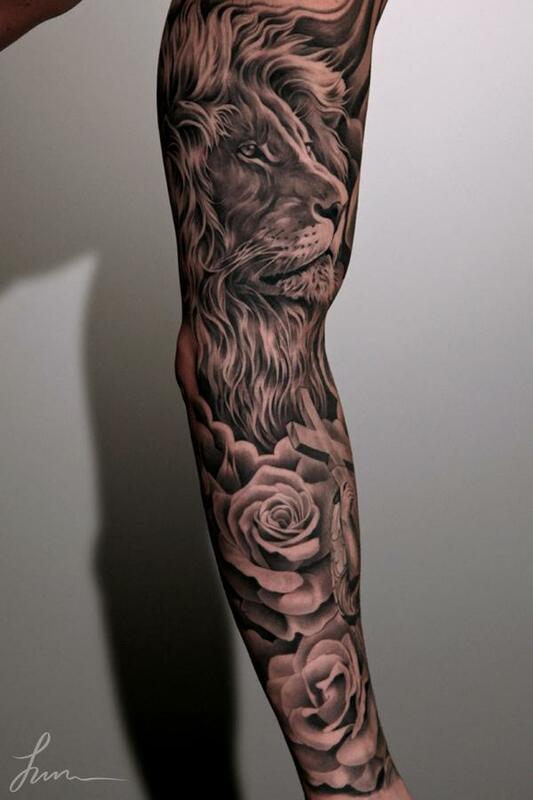 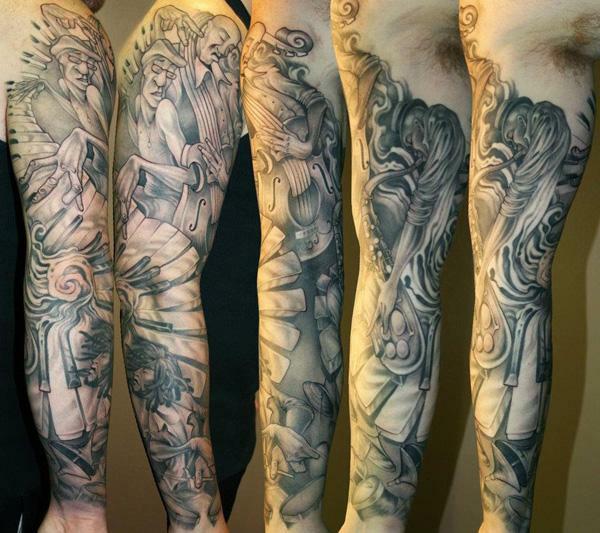 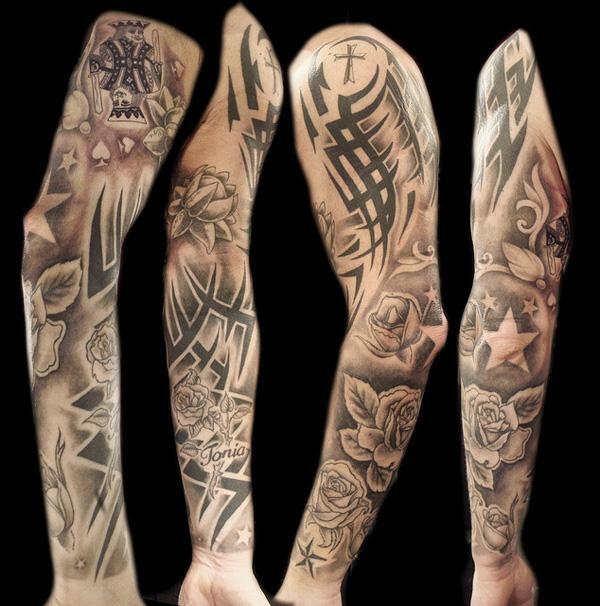 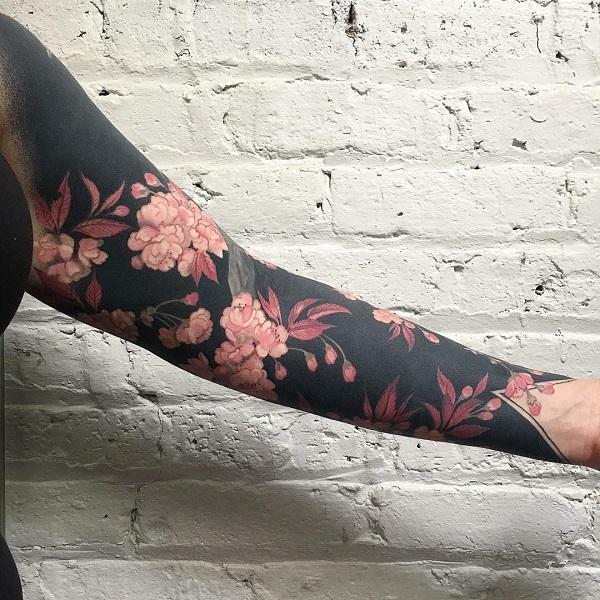 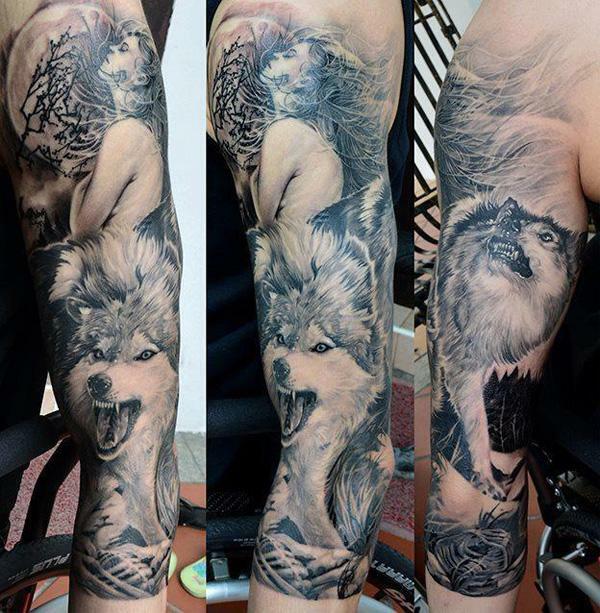 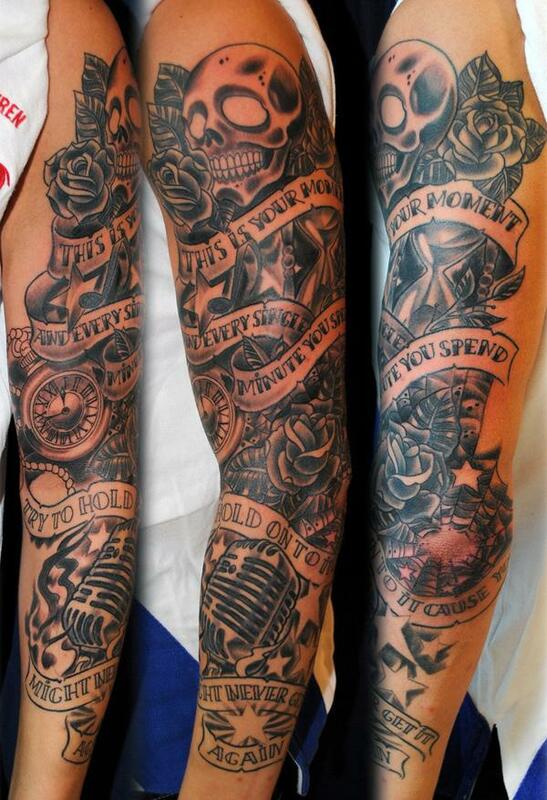 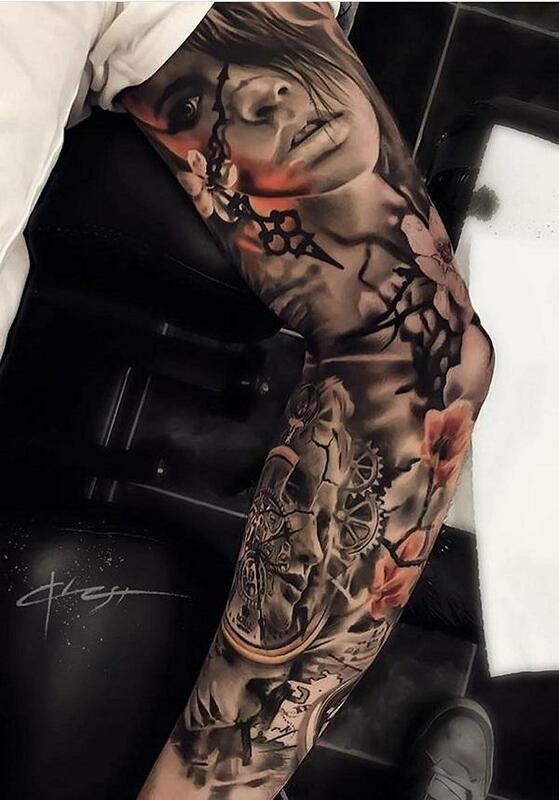 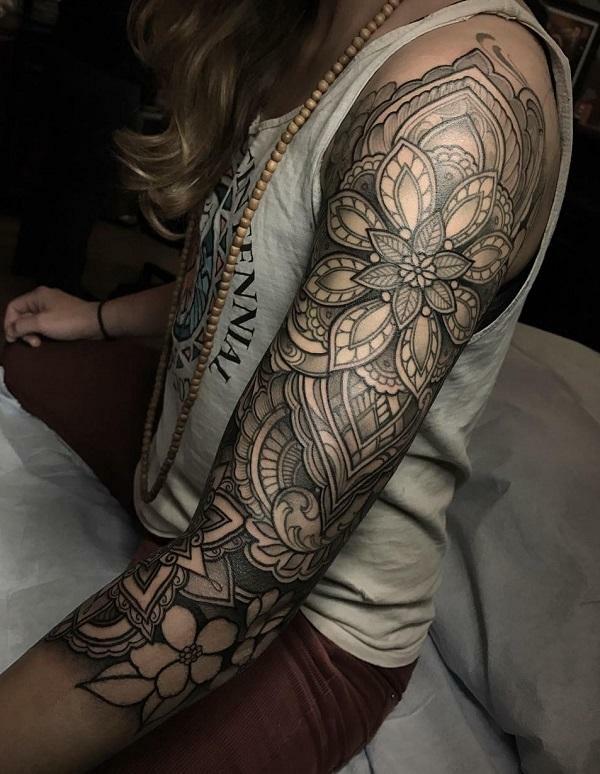 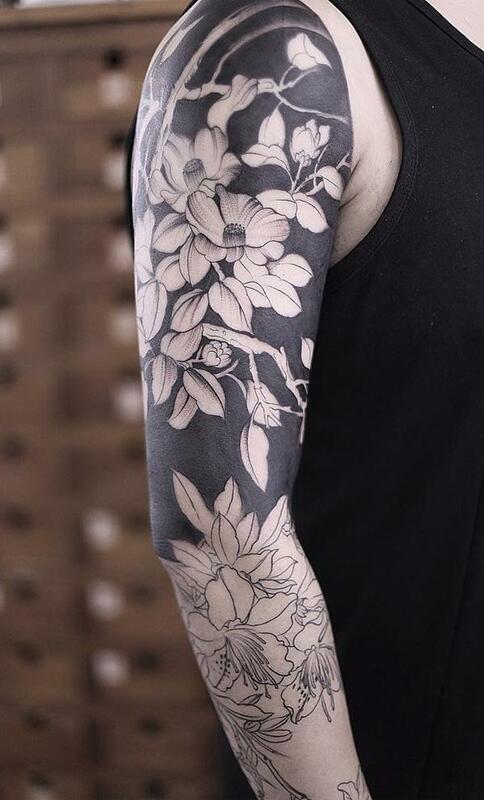 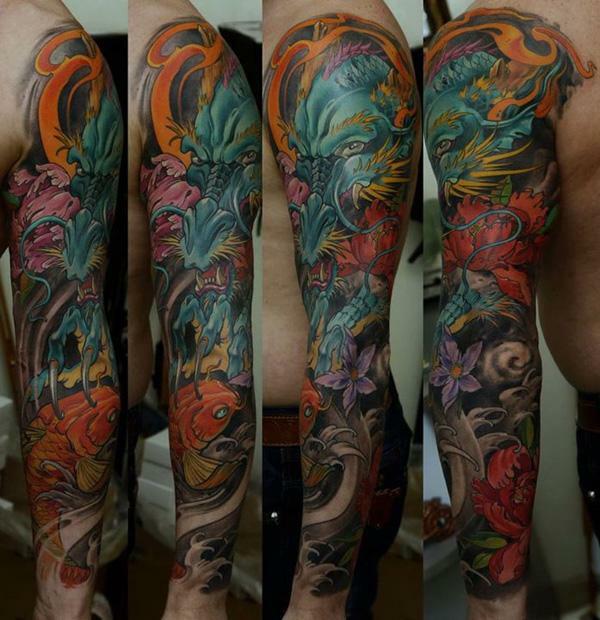 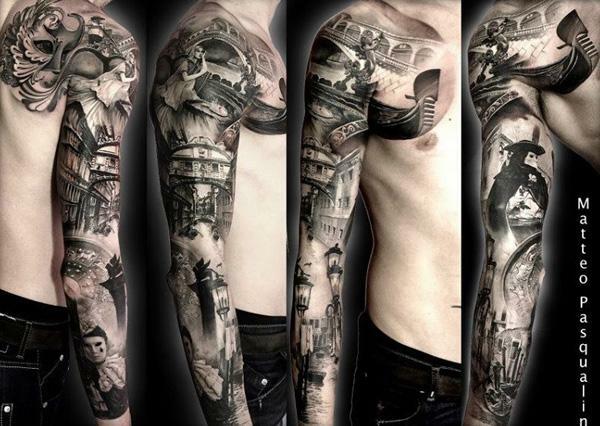 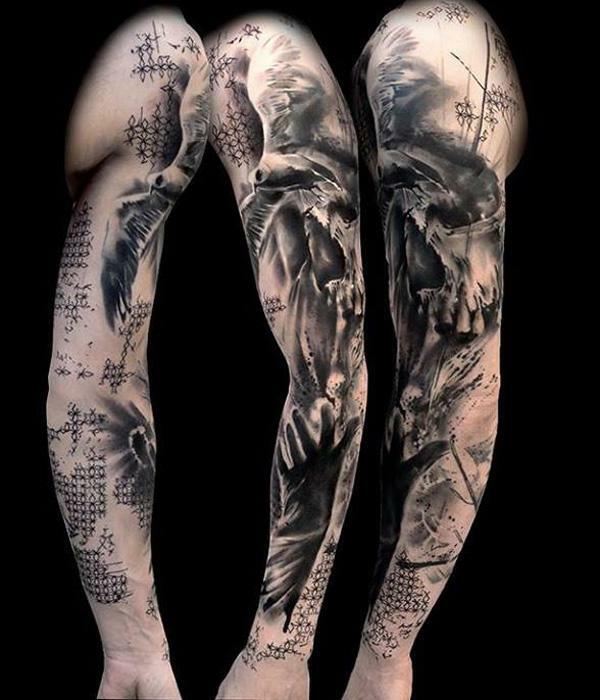 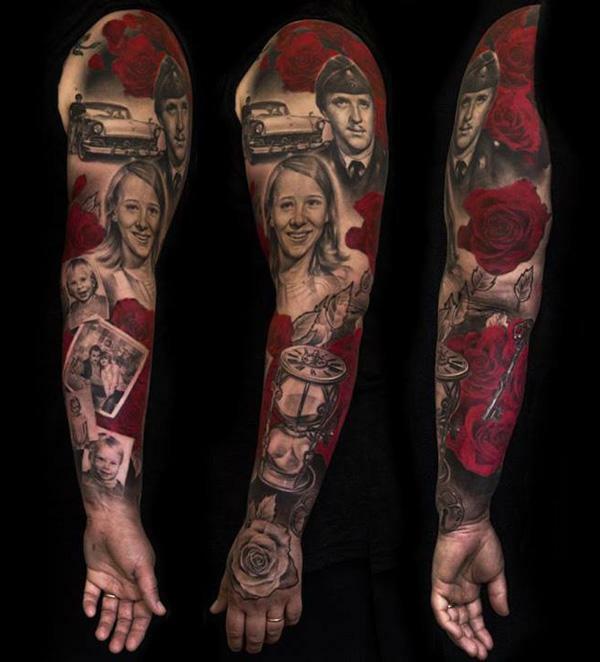 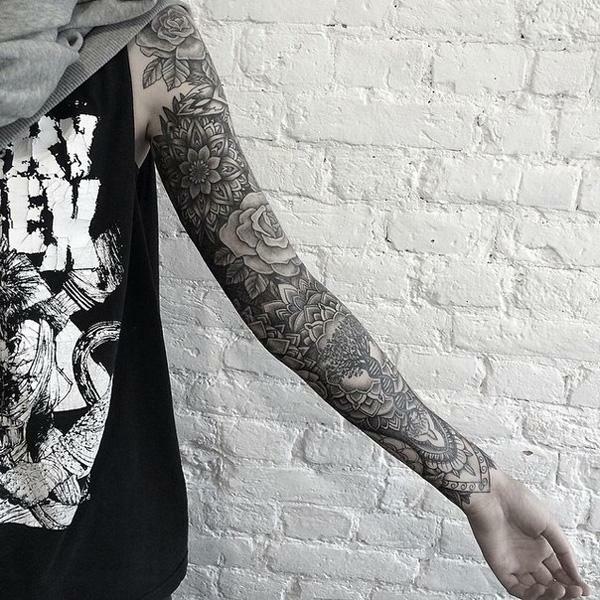 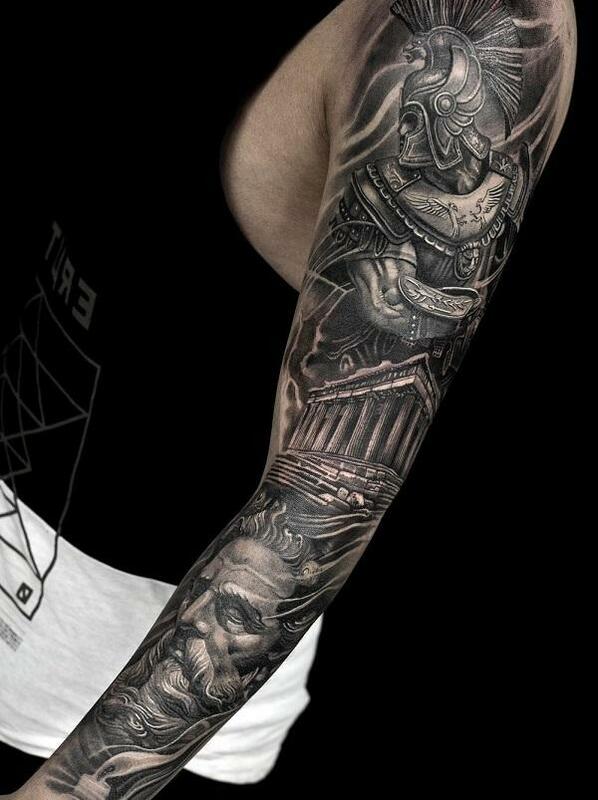 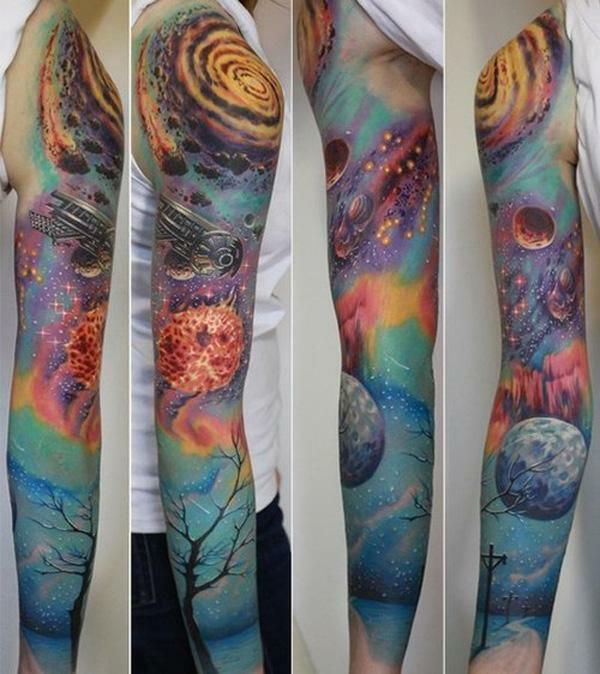 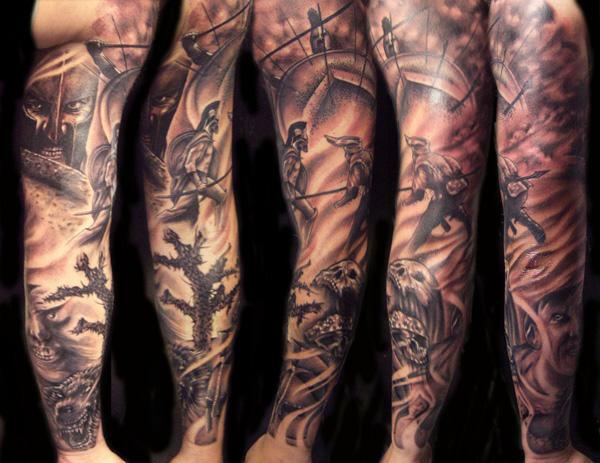 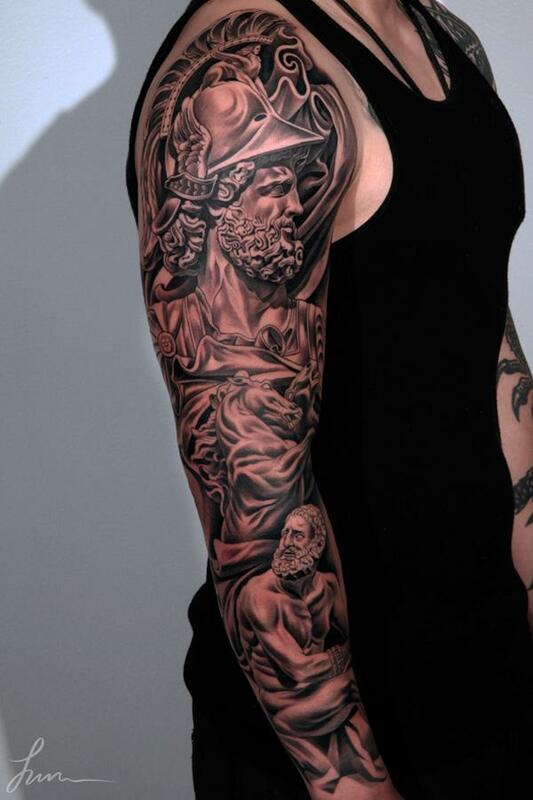 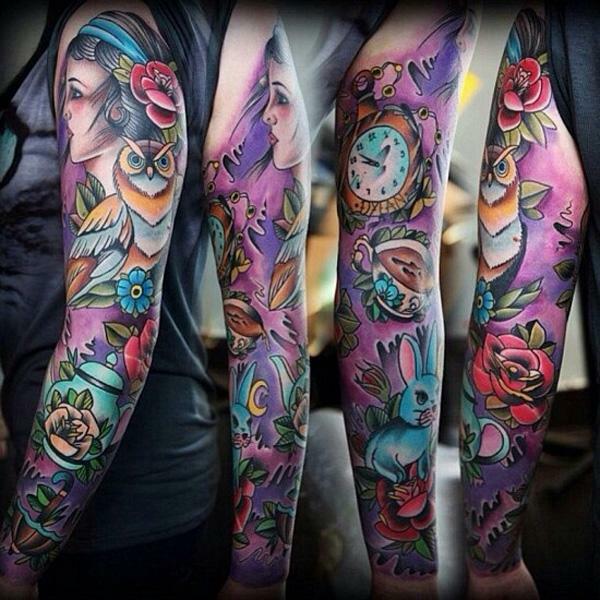 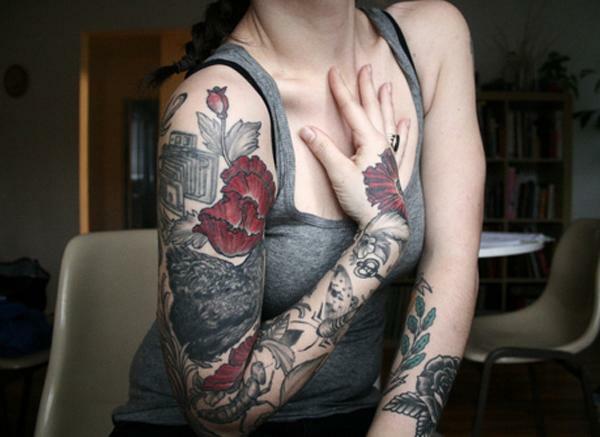 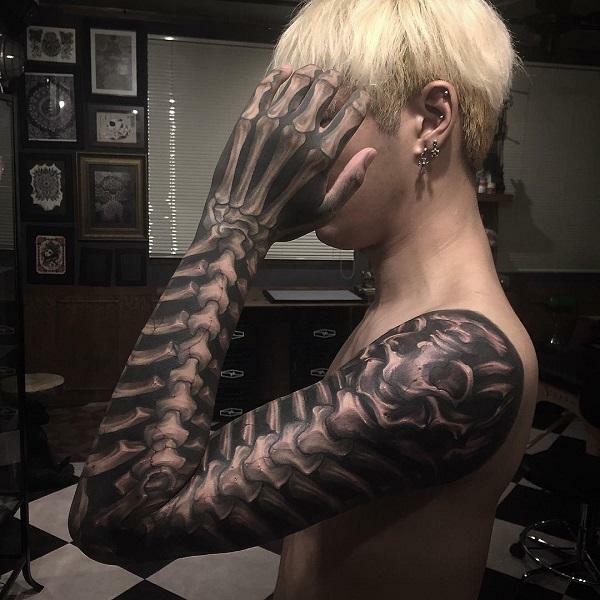 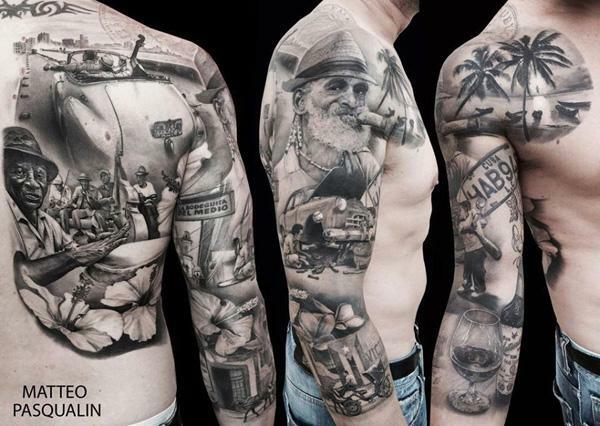 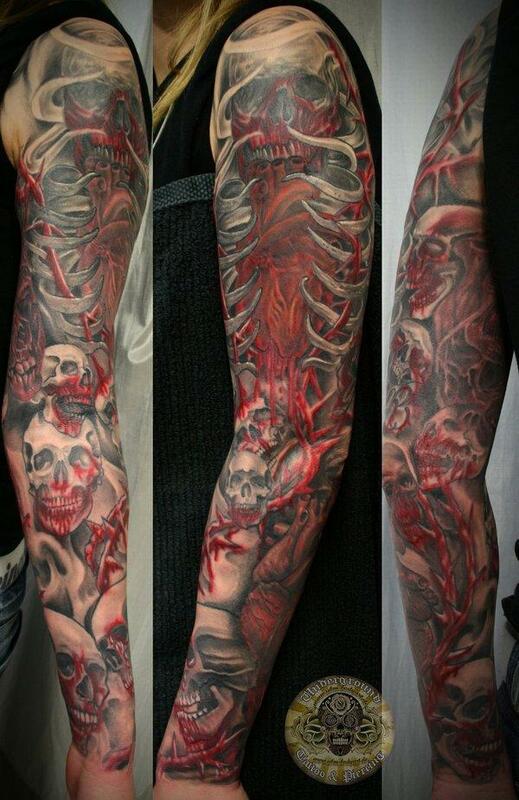 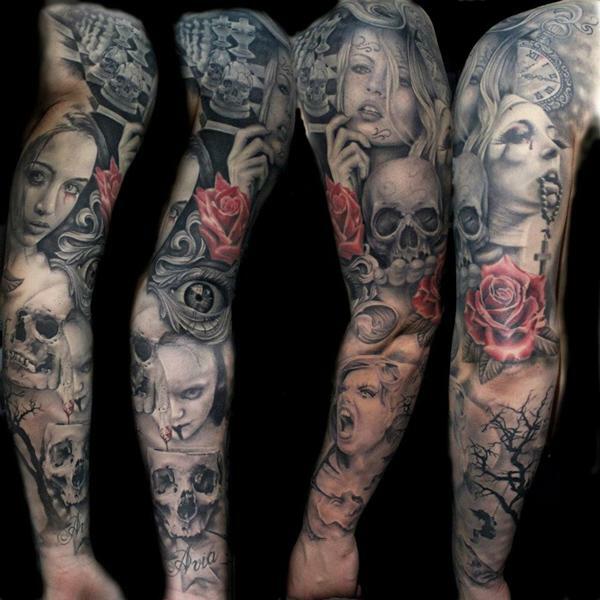 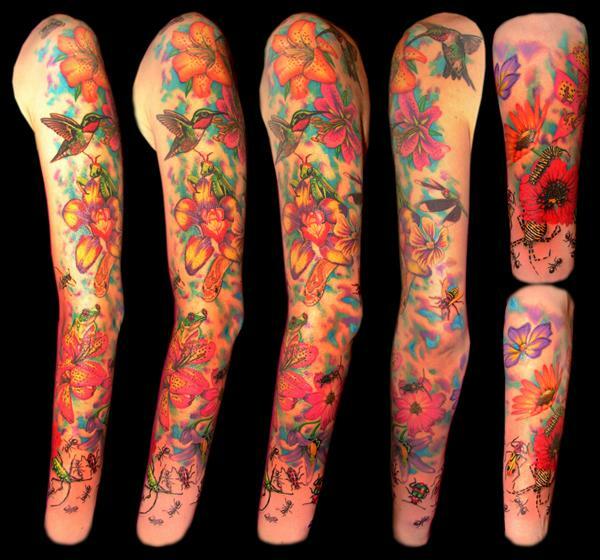 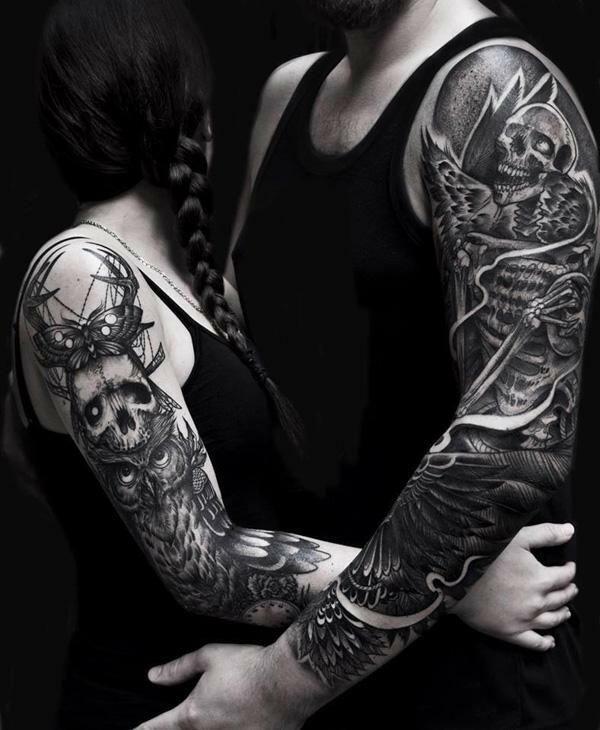 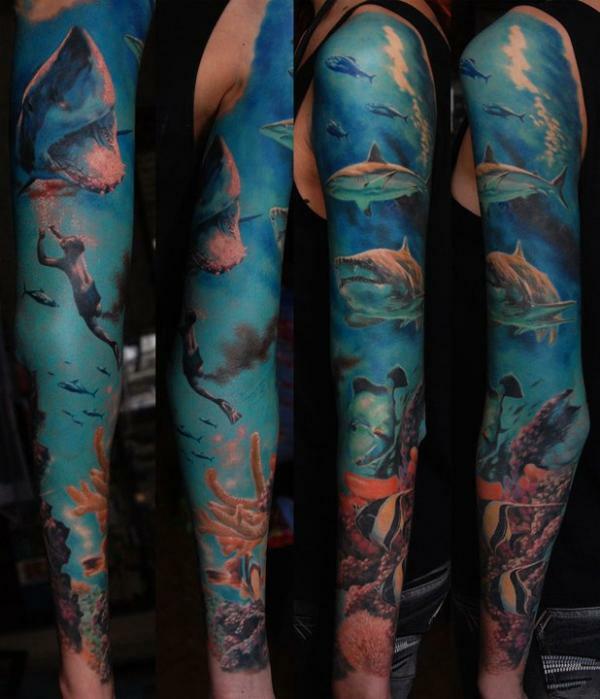 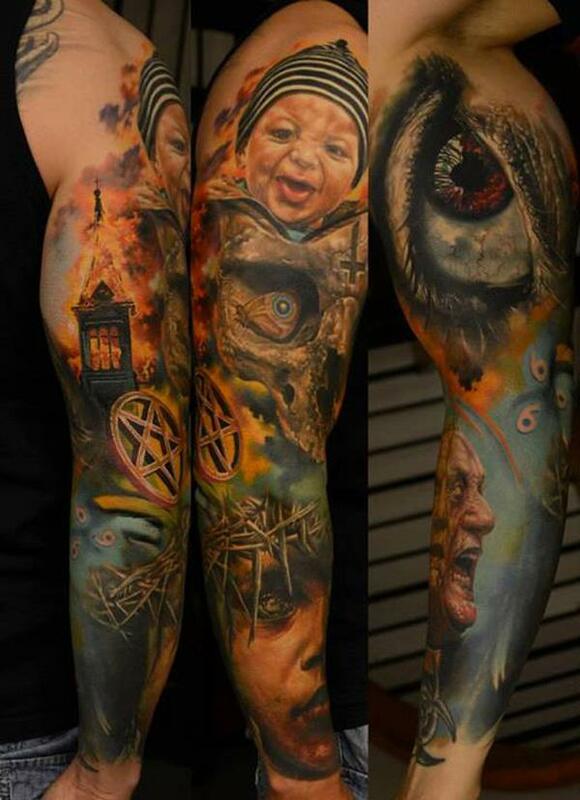 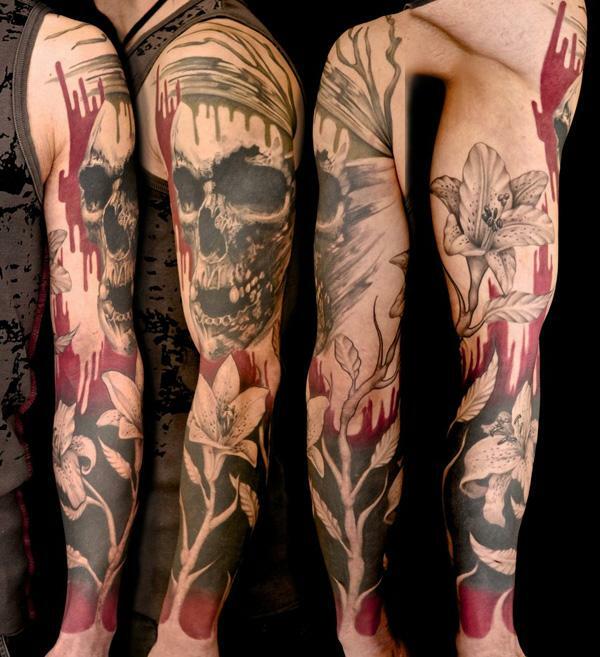 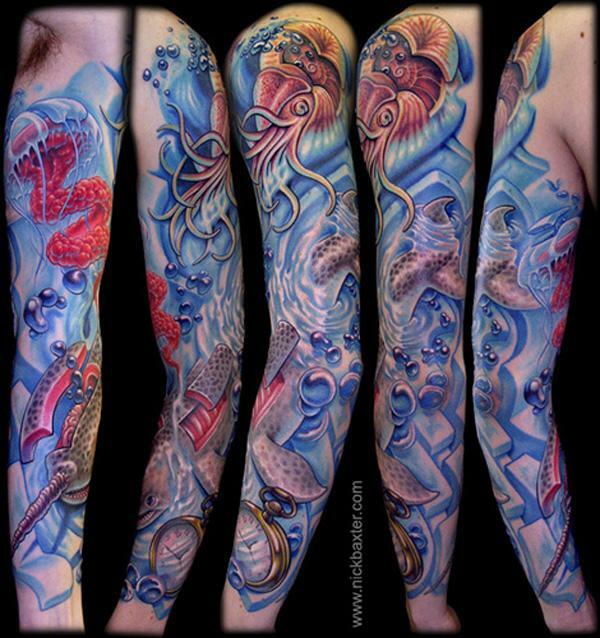 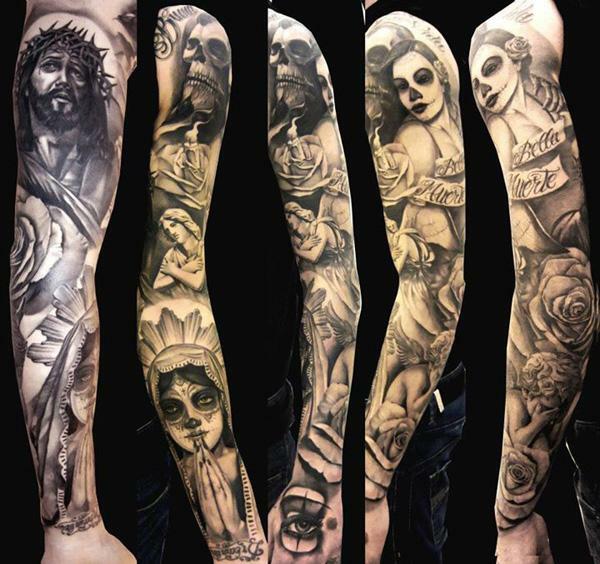 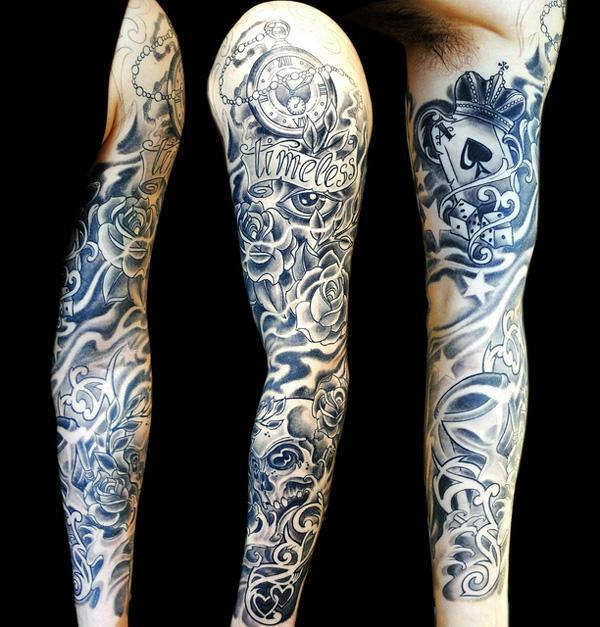 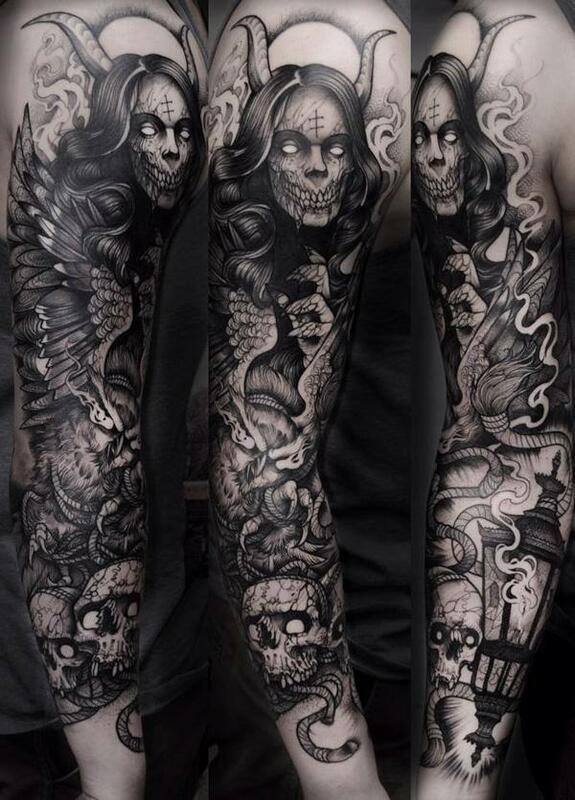 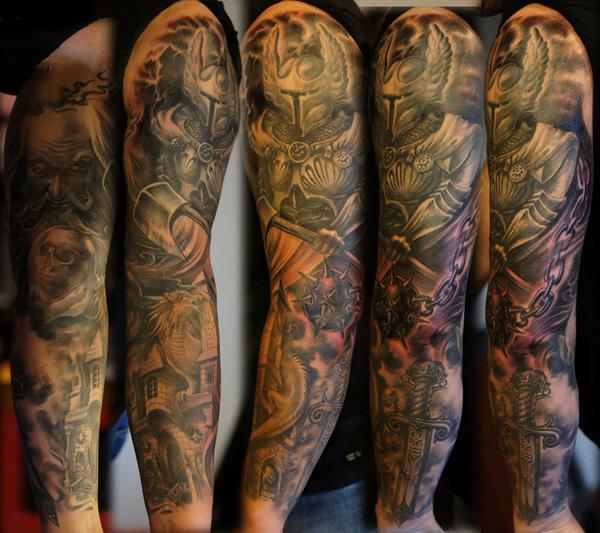 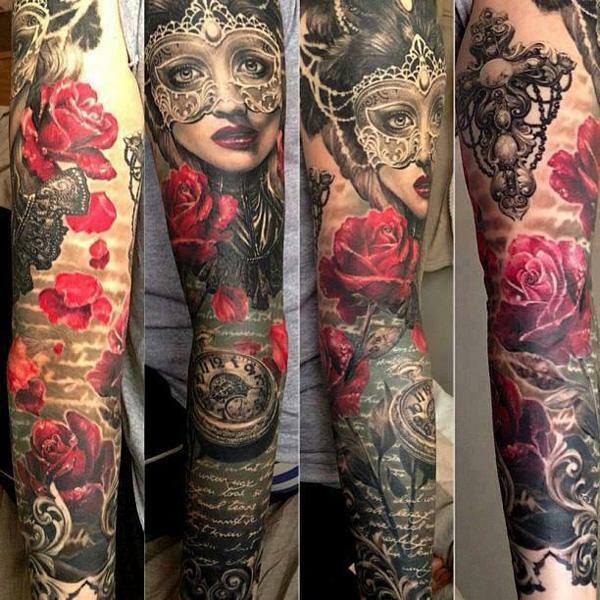 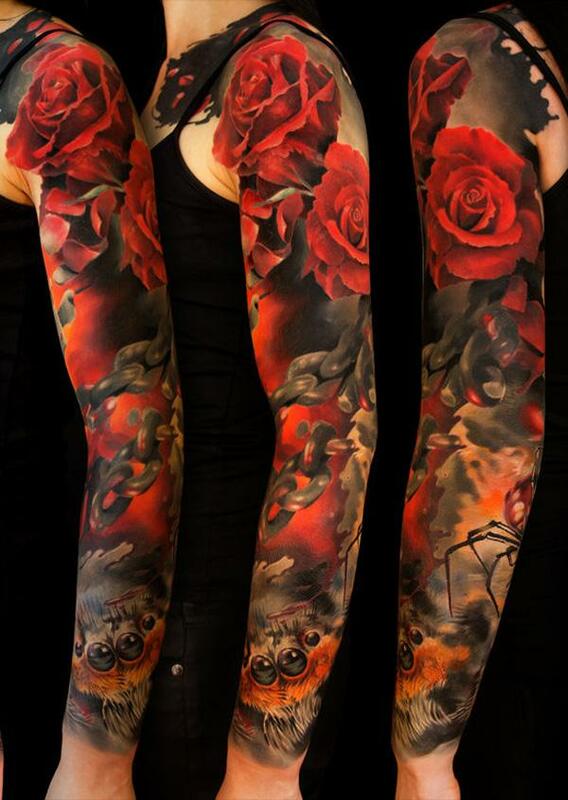 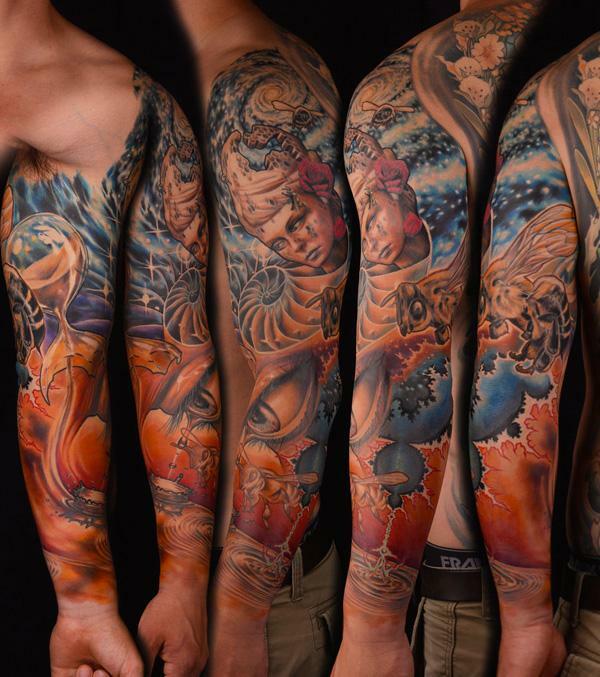 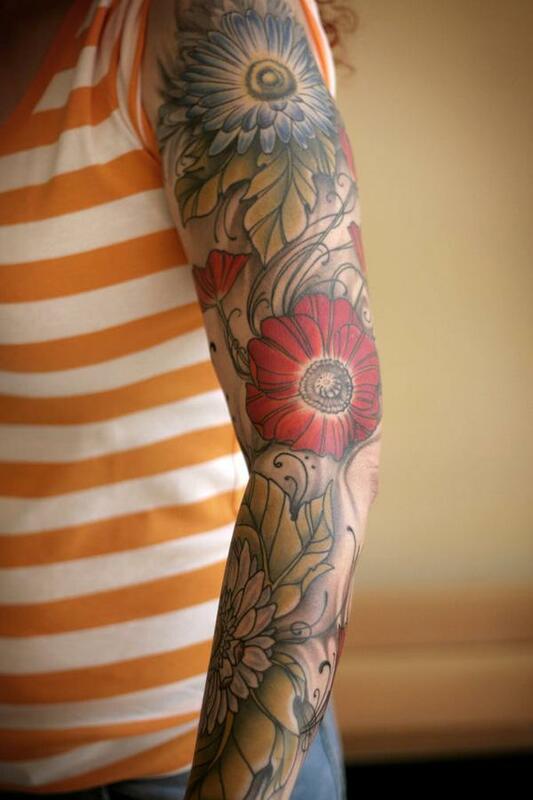 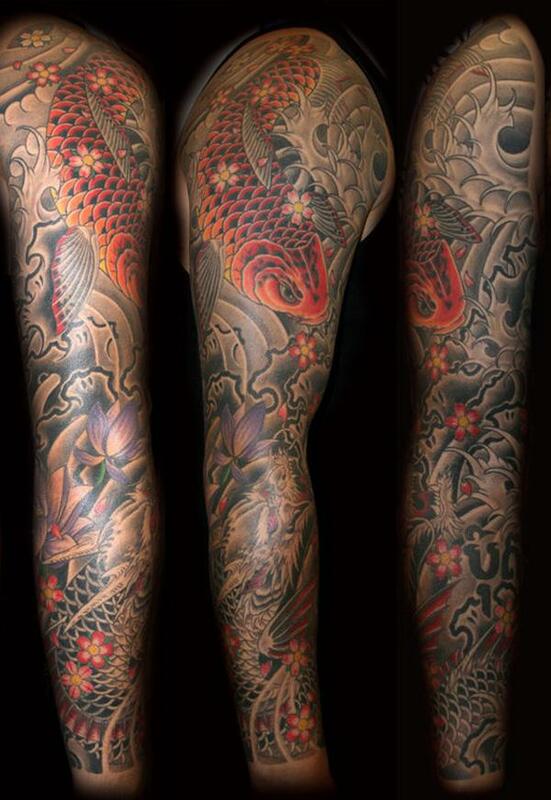 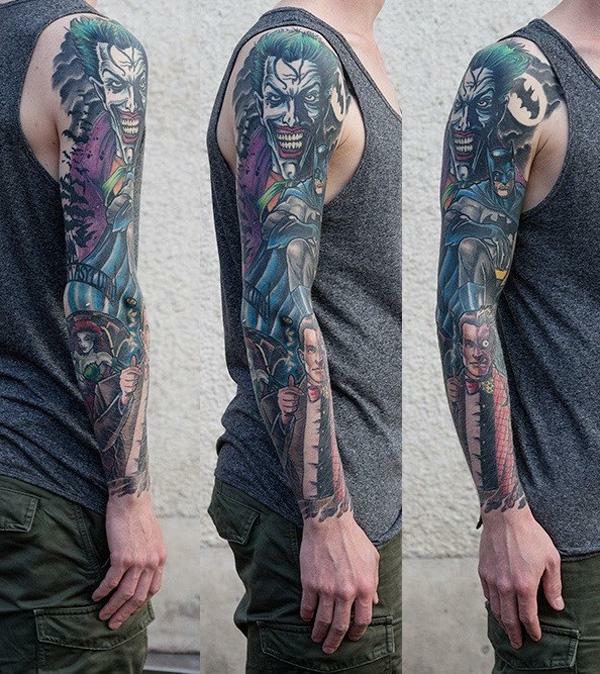 In this post, I carefully collected a list of 55+ awesome full sleeve tattoos for your reference. 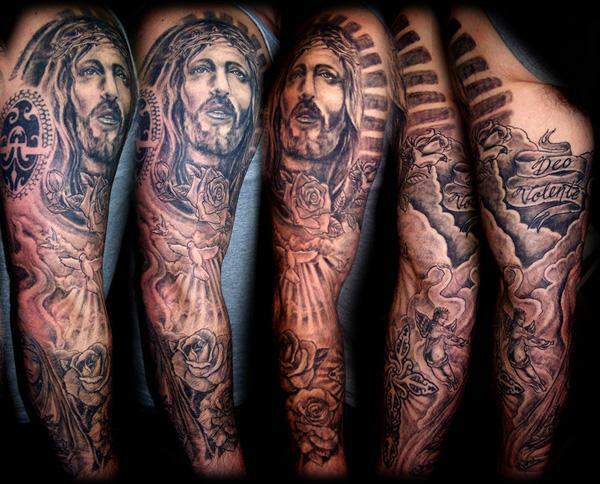 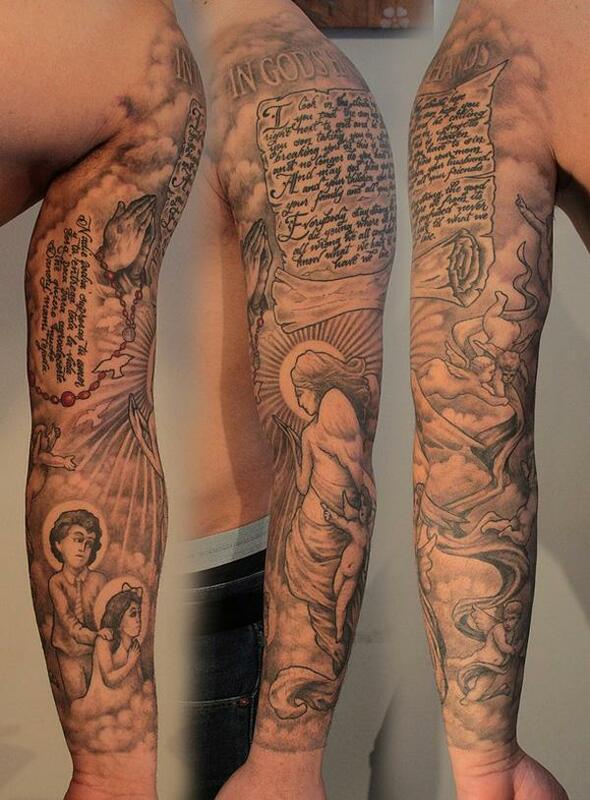 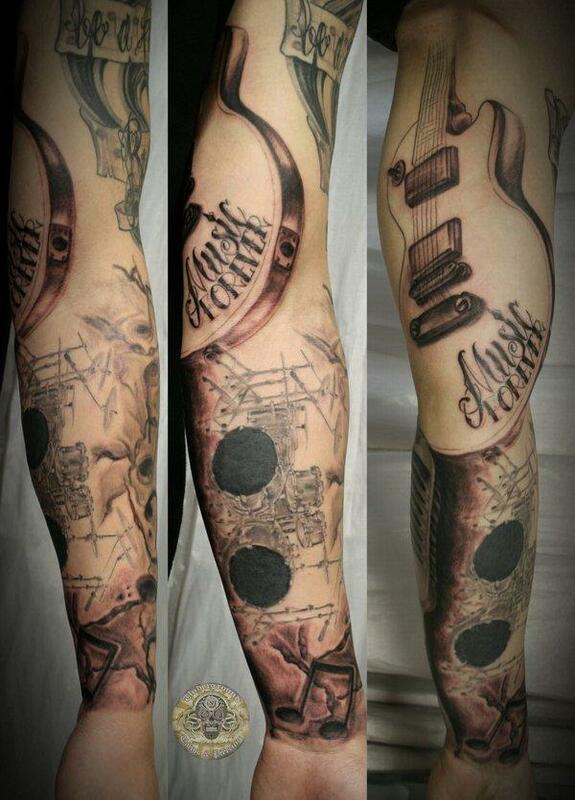 Hope you can find inspiration on your full sleeve tattoo ideas. 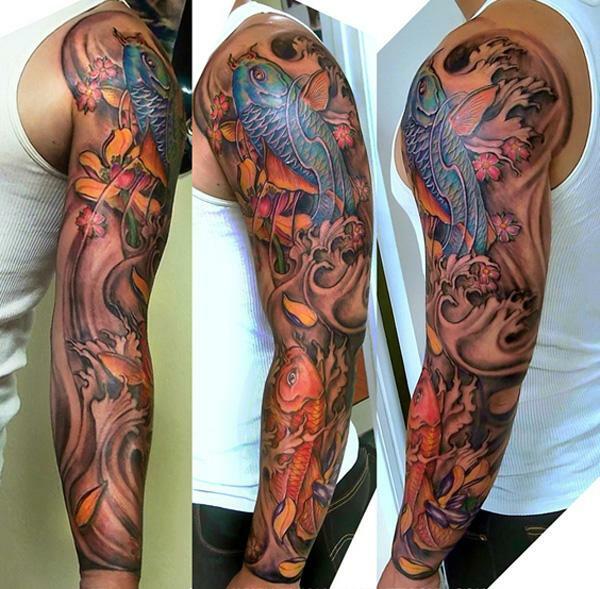 Be sure check out the link to view more portfolio of the tattoo artists. 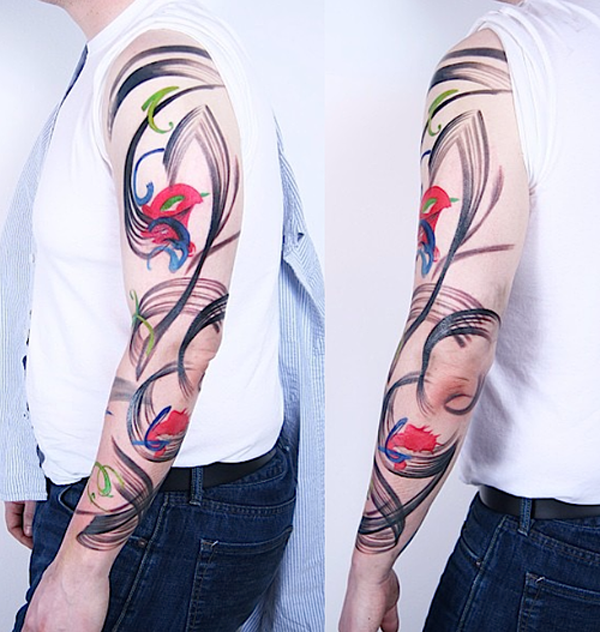 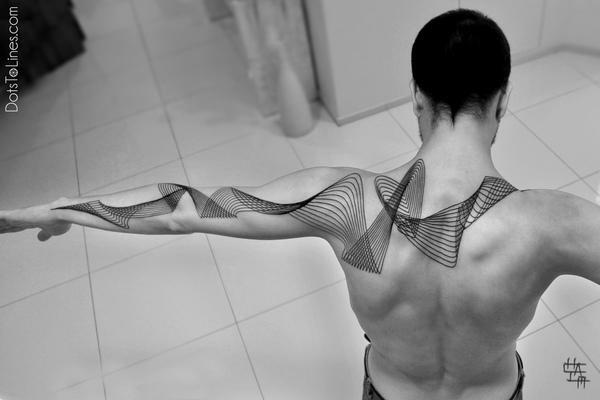 Remember it’s the same important to appoint an best tattoo artist for you tattoo execution. 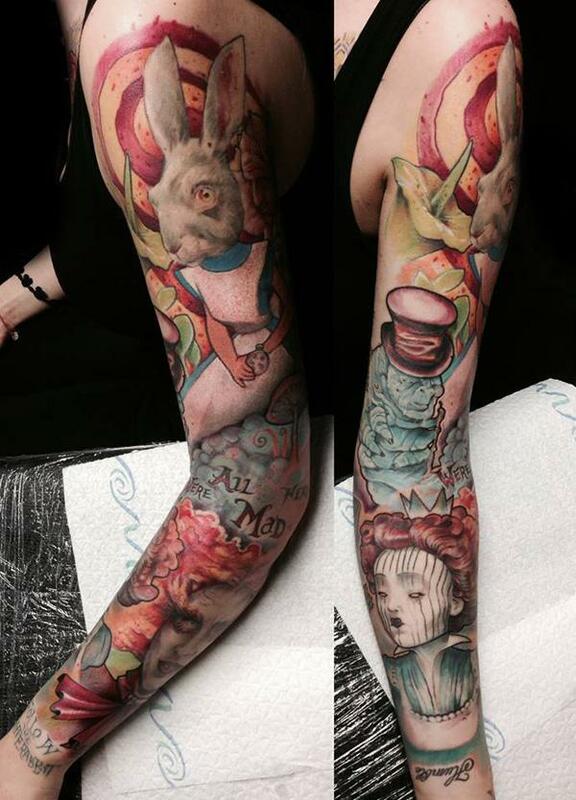 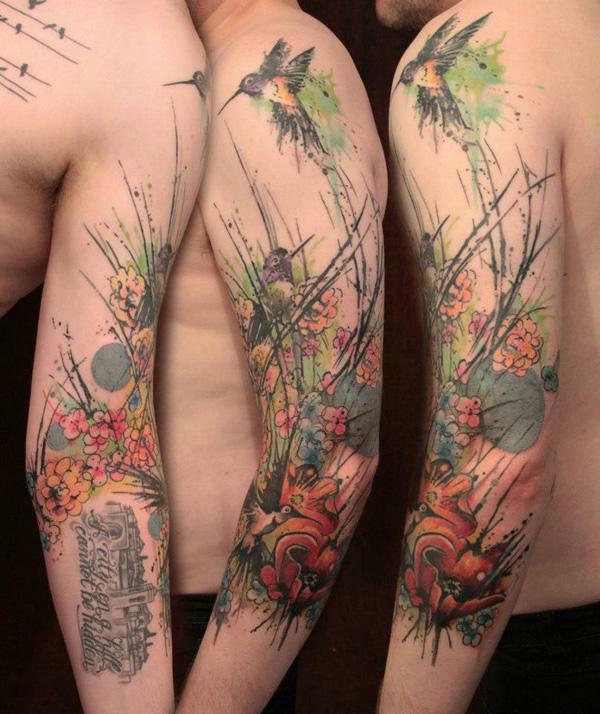 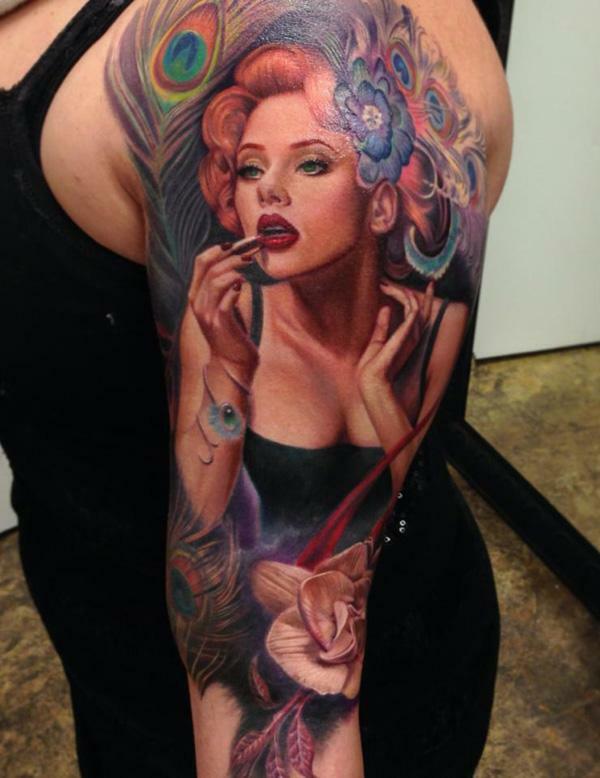 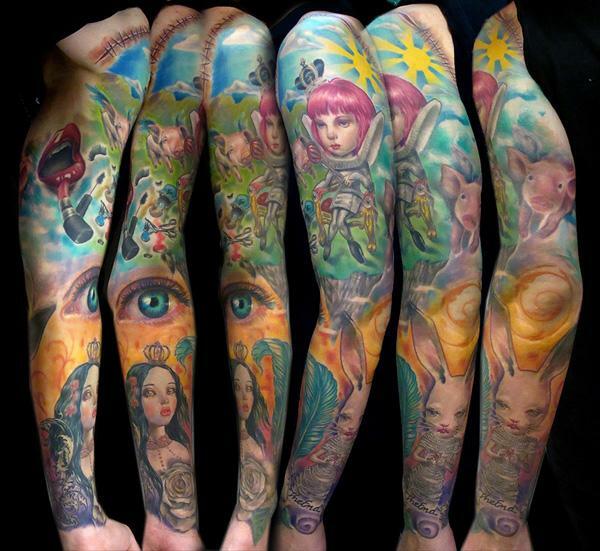 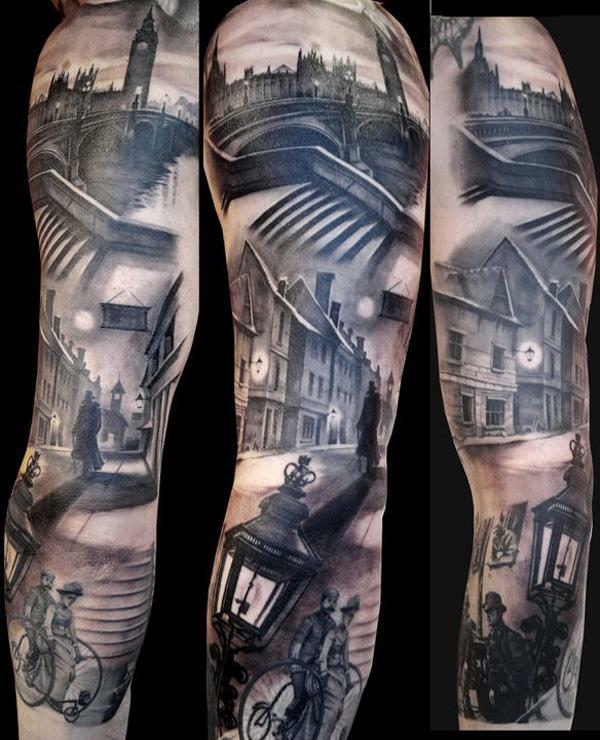 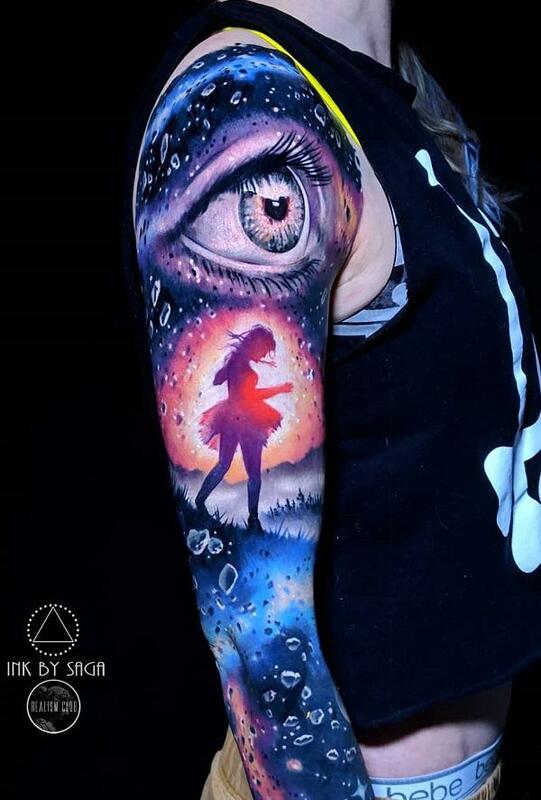 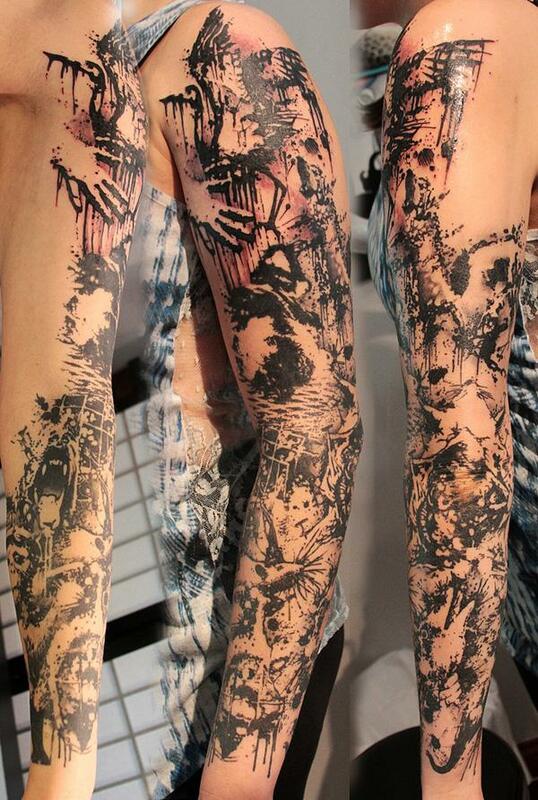 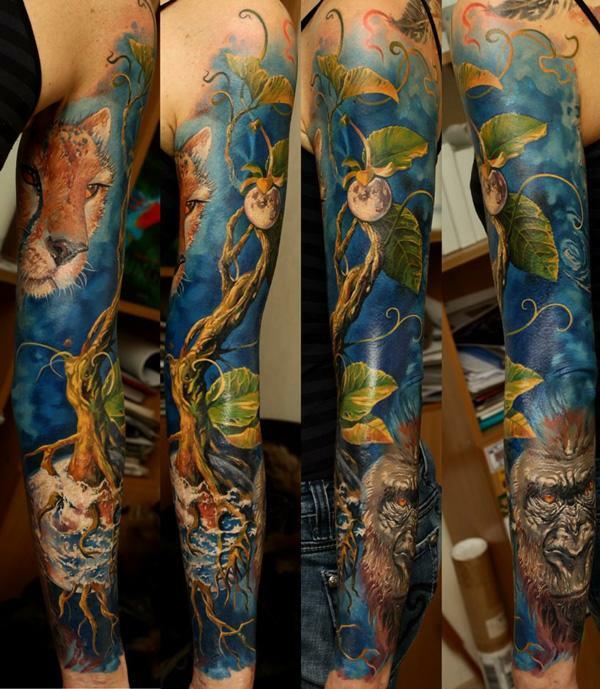 Whimsical illustration works on the canvas of full sleeve. 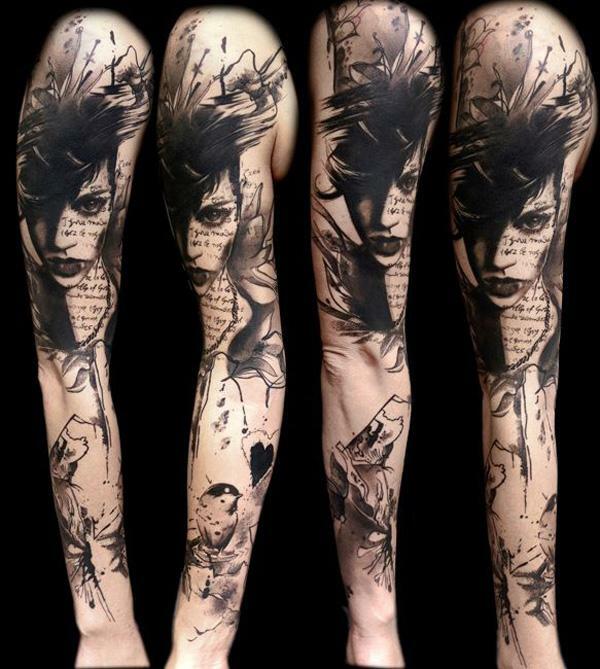 Fashionable female portrait, bird, heart symbol splashed with black ink and decorative cursive script. 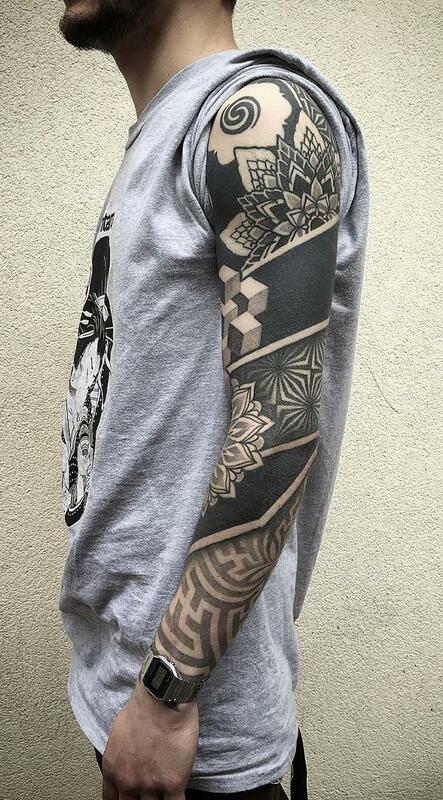 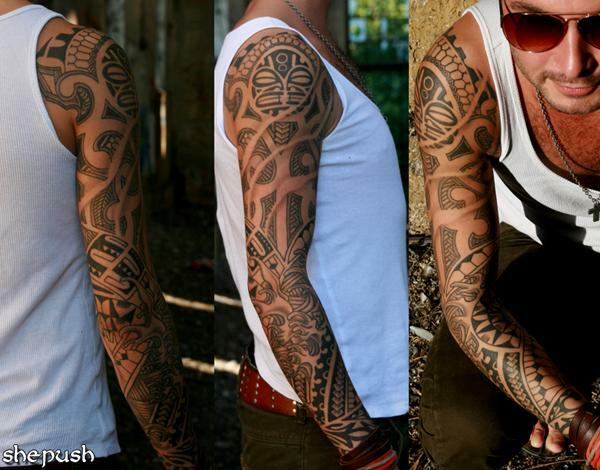 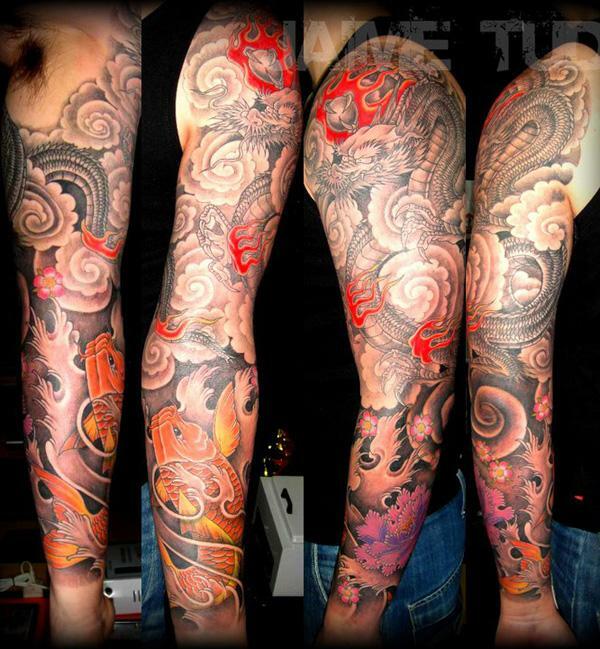 Maori tattoo inspired tribal tattoo on full sleeve in details, with elements of Tiki, spiral patterns and matau, etc. 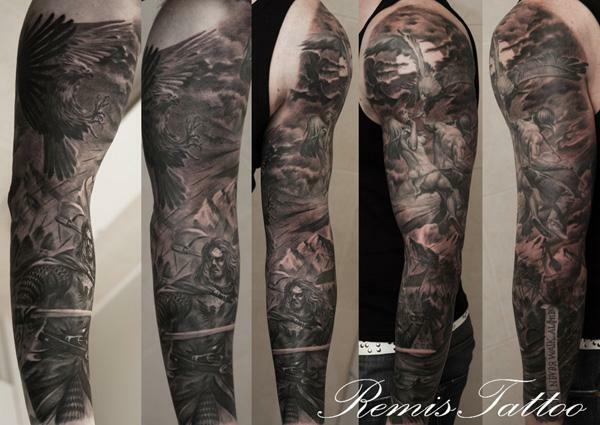 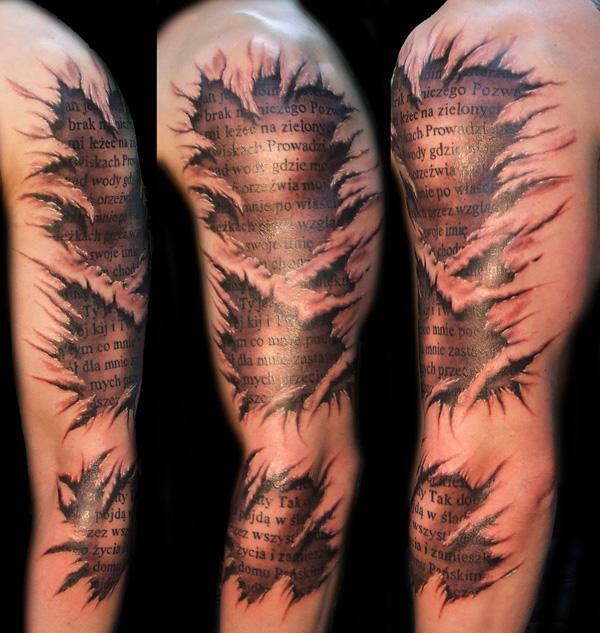 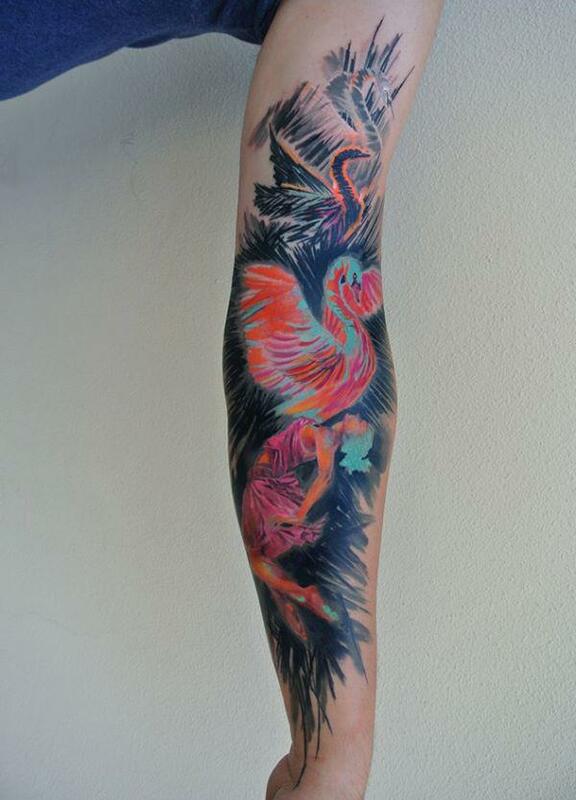 The tattoo is portrayed as A hand is to capture a flying bird, in dark fantasy style. 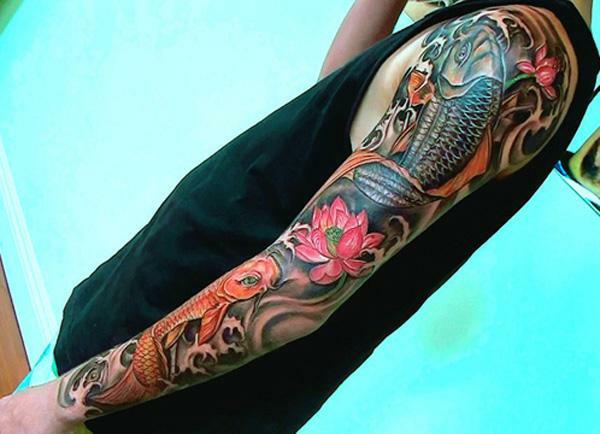 Lily is the symbol of compassion in Buddhism. 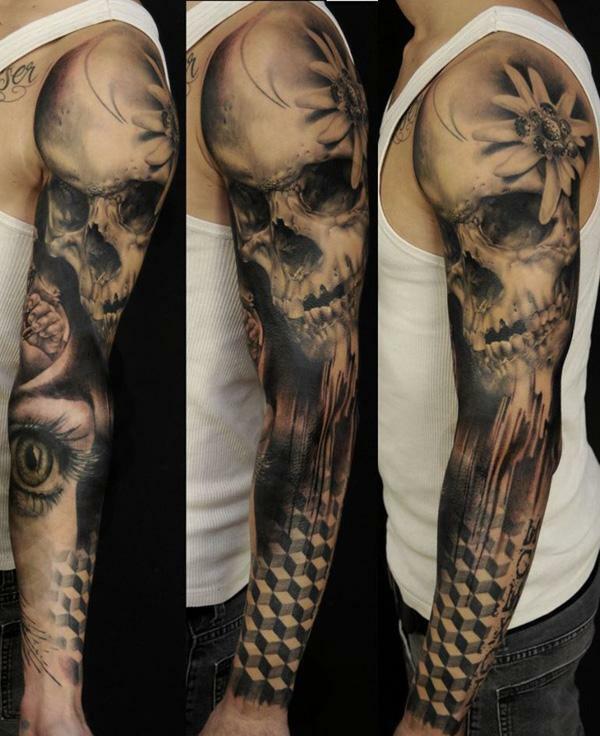 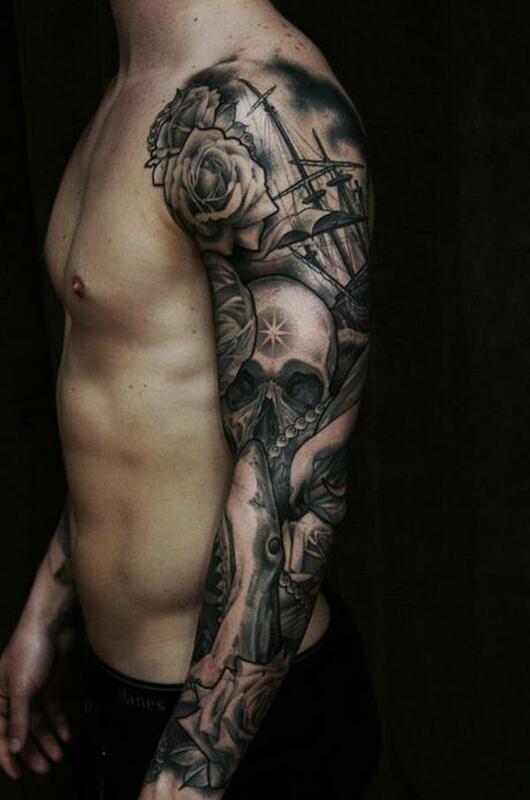 Skull represents vessel of the soul, or wisdom, a tattoo with deep meaning. 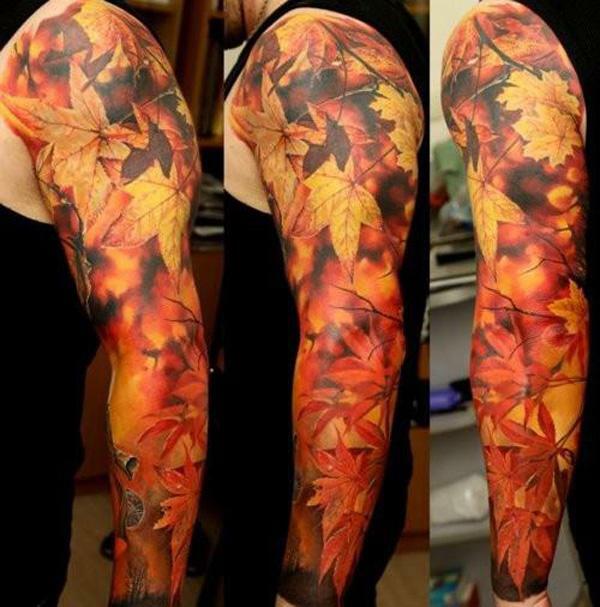 The changing fall foliage never fails to surprise us. 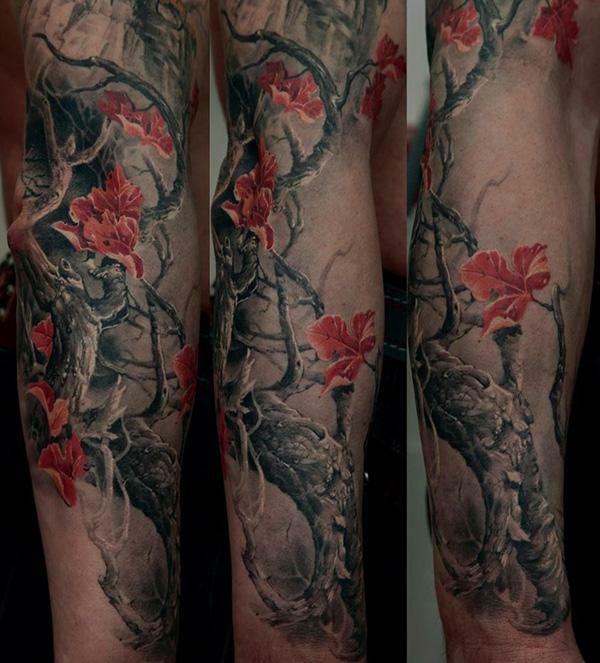 The deep Autumn leaves tattoo is a sign of transformation, a metaphor for rich experience of life.